As part of P.E. 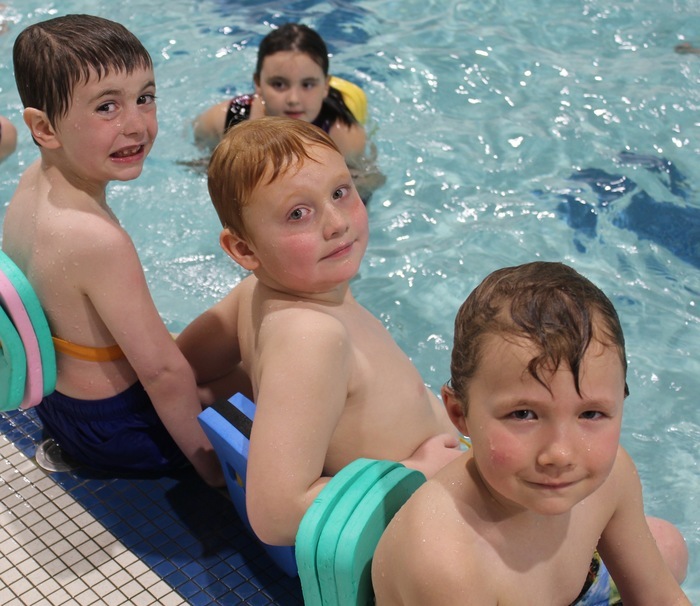 class, Kindergarten through Grade 3 students began their swimming & gymnastics unit last Friday at the Old Town YMCA. 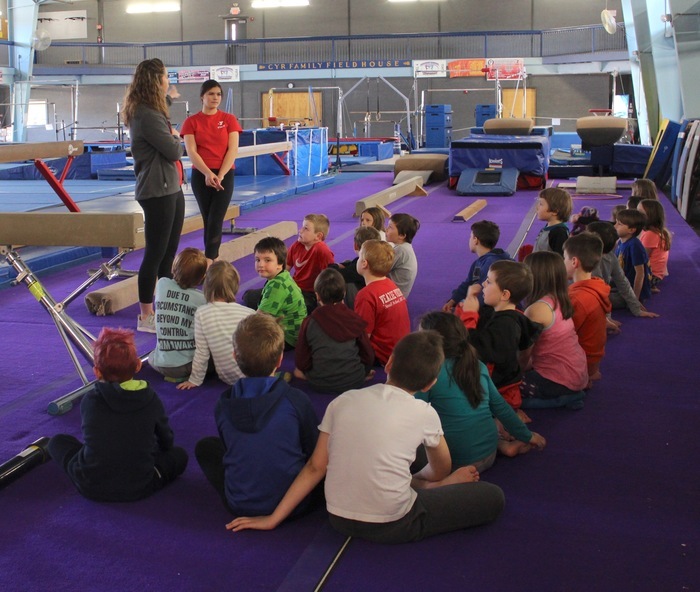 Thank you to to our PTO for supporting this wonderful learning experience! Veazie Community School will be closed today, Monday, April 8. Mark your calendars! 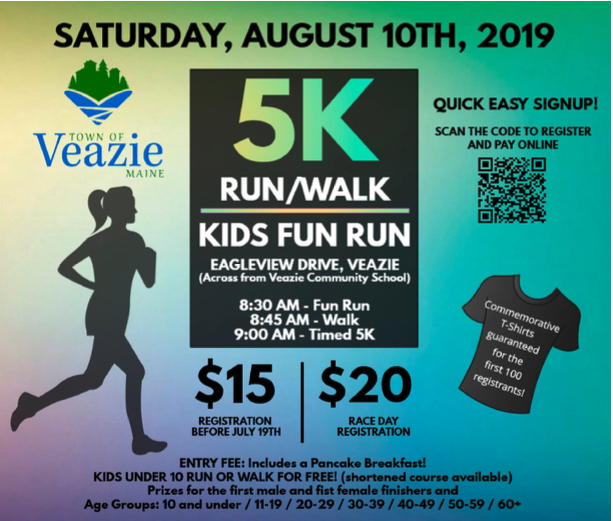 The Veazie 5K Run/Walk & Kids Fun Run is set for Saturday, August 10! 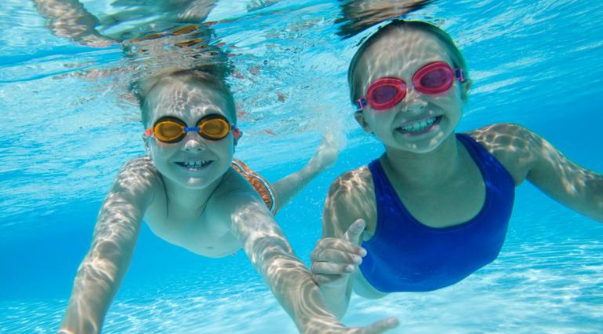 Kindergarten through Grade 3 parents....please remember to send your child to school tomorrow with their bathing suit, a towel, a plastic bag for wet clothes and comfy clothes that are easy to change in and out of. 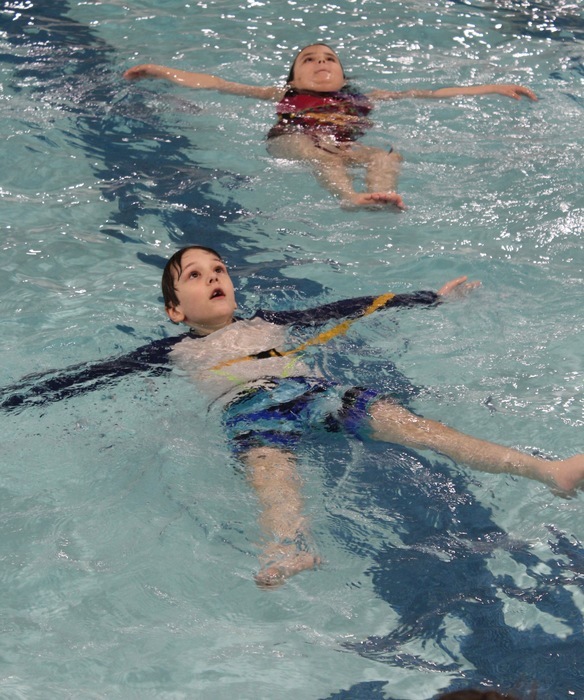 They will begin their swim lesson unit in P.E. class tomorrow! 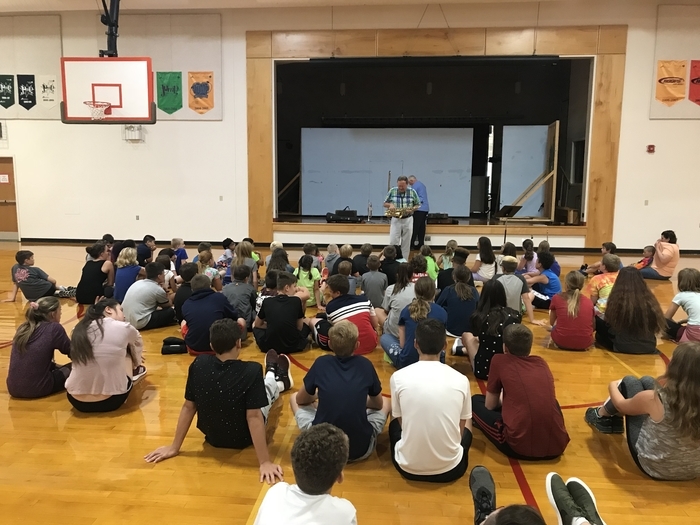 There was a “crime” here at VCS and our 7th grade students are applying everything they have learned during their CSI unit to investigate with the assistance of Sergeant Fizell and Mr. Zerfoss. 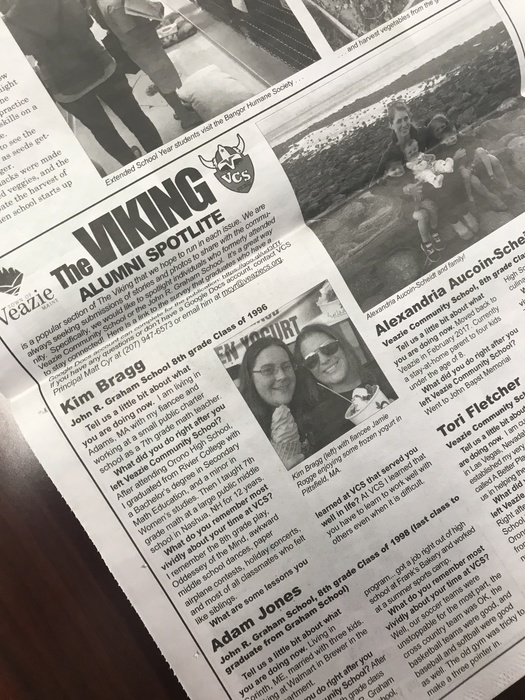 Veazie School Alumni (VCS and John R. Graham School), please consider contributing to our spring edition of THE VIKING Alumni Spotlight! Answer the brief survey at this link: https://forms.gle/h1oe2MTjBf9MNDpW6 Thank you! 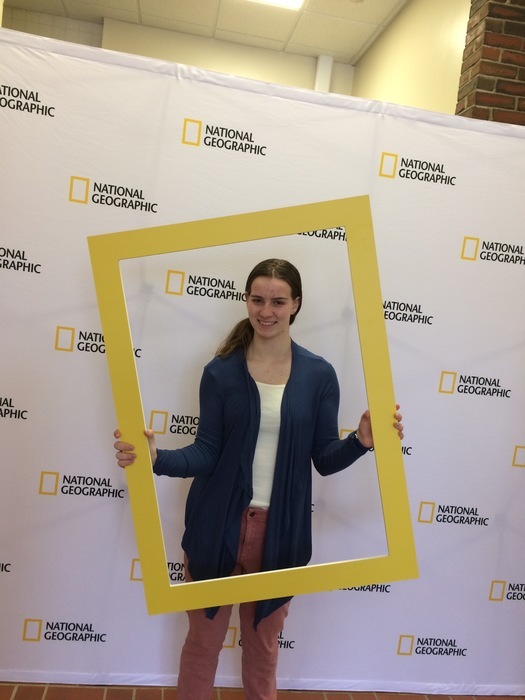 Good luck to VCS 8th grader, Maddie Brown who is participating in the State Geography Bee today (held at the University of Maine at Farmington). VCS was notified this morning of potential threats made to a neighboring school. We immediately went into a lockdown and accounted for all staff and students. We have since been notified that there is no real threat. 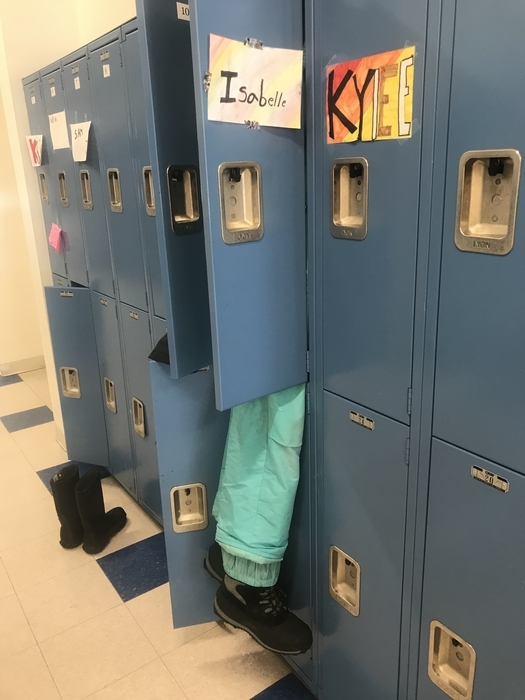 We have cleared the lockdown and are running a normal schedule. All staff and students are safe. 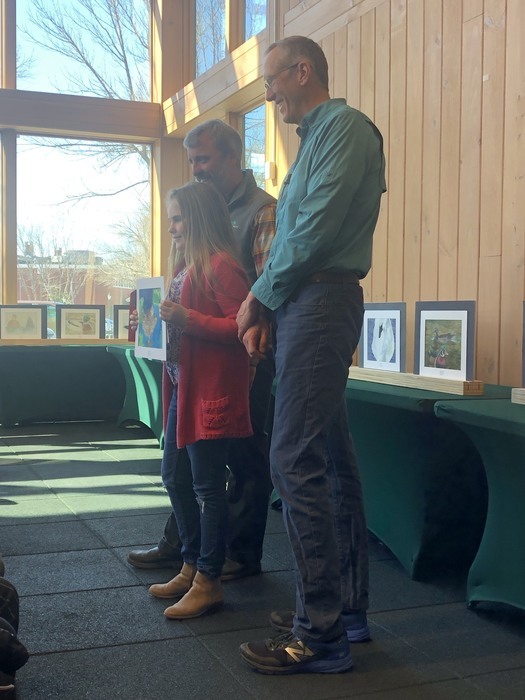 VCS 5th grader, Emmaline Hyde was recognized today at L.L.Bean in Freeport for her 2nd place finish in her age category as part of the Federal Junior Duck Stamp Art Competition! 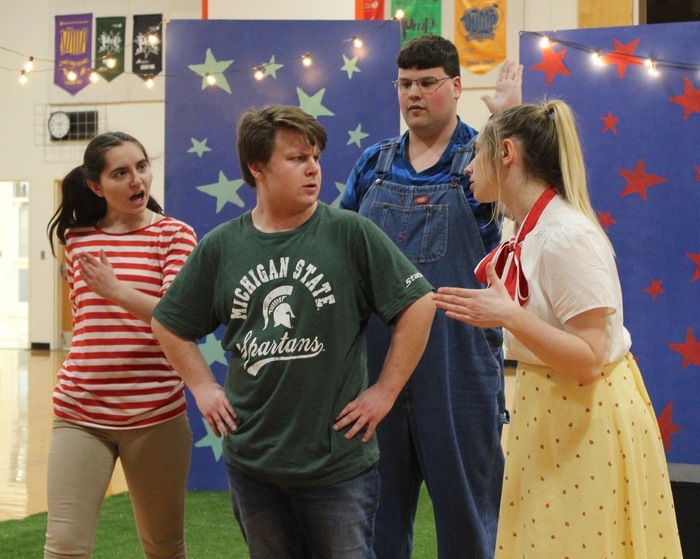 VCS was treated to a wonderful performance from the University of Maine Touring Theater Group. Thank you Mr. Bilodeau for making it happen! 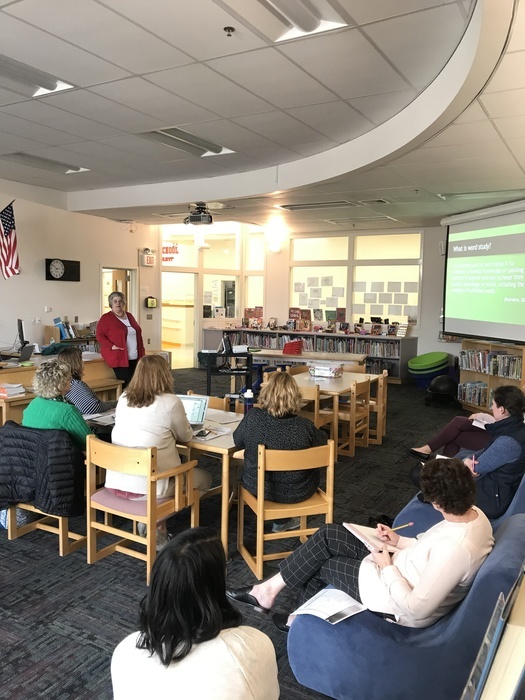 VCS primary and intermediate staff started a two-part after-school professional development series focused on Word Study. Our phones are currently down while construction crews replace a pole on School Street. 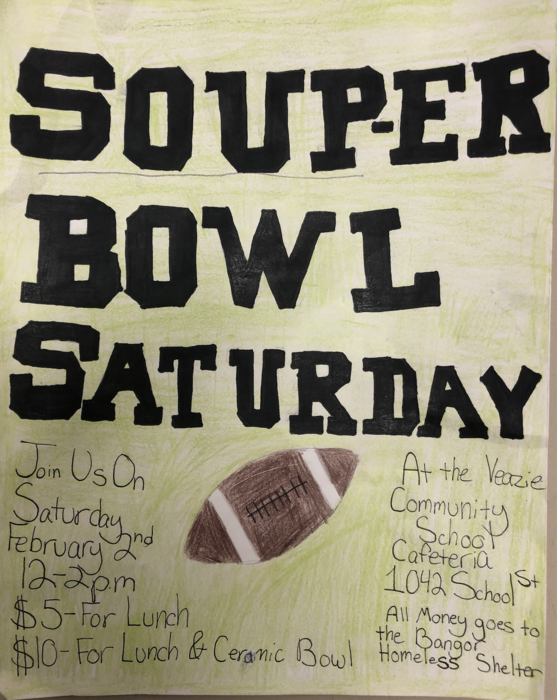 Please email lswift@veaziecs.org if you need to contact the school office. Our 'White Bus' serving Thompson/Village/State Street will be 15 minutes late this afternoon due to mechanical problems. Students are safely waiting here at the school for the replacement bus. 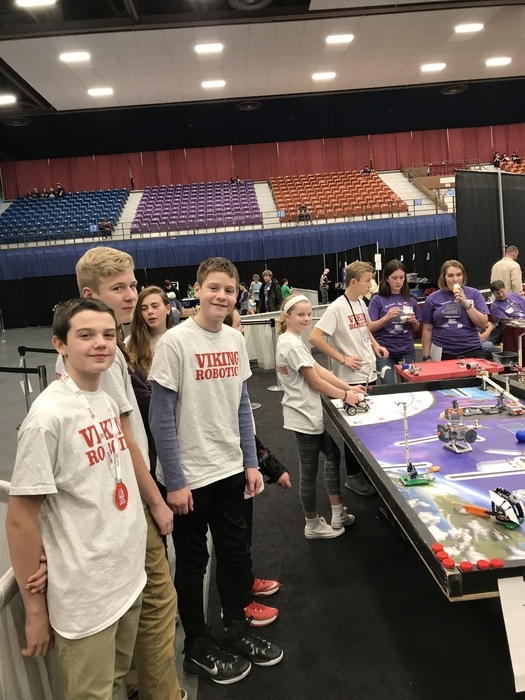 Veazie Community School was well represented at today's State Invention Convention. This amazing group of students made us all very, VERY proud! Congratulations to Camden Brown on his 3rd place finish, Duncan Carlisle on his 2nd place finish, and Olivia Bragdon for earning 1st place honors! WOW, WOW, WOW!!!! 2nd Trimester Report Cards will be going home with students this afternoon. 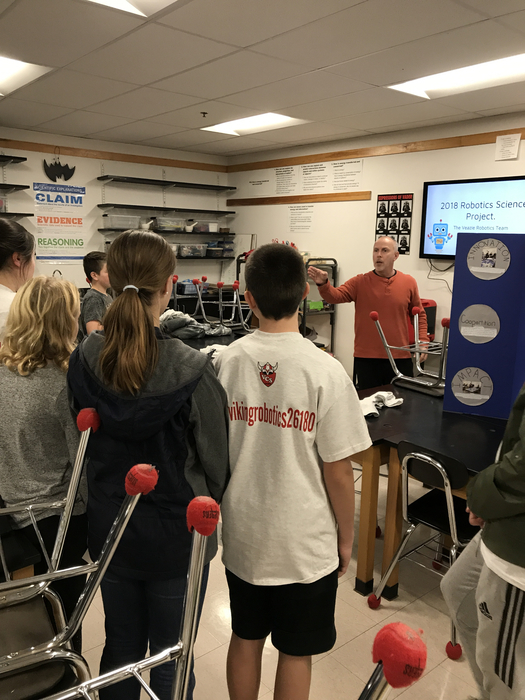 VCS 7th & 8th graders got to spend part of their day visiting the interactive exhibits at the Maine Science Festival. 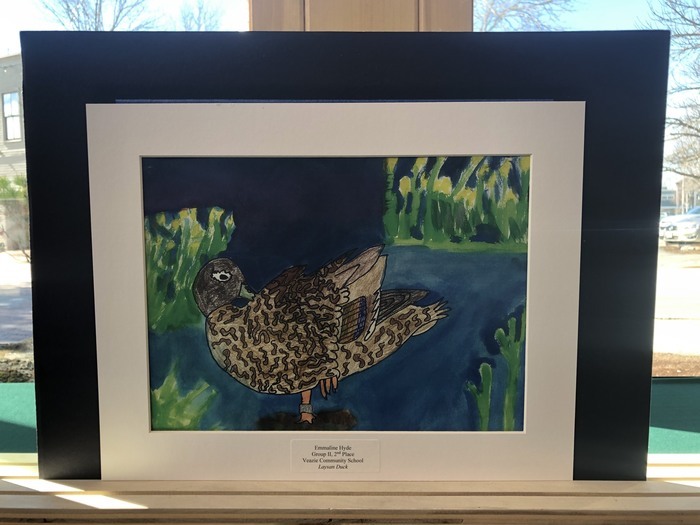 Congratulations to Emmaline Hyde on her 2nd place award in the 25th Annual Federal Junior Duck Stamp Art Contest! We are proud of you! 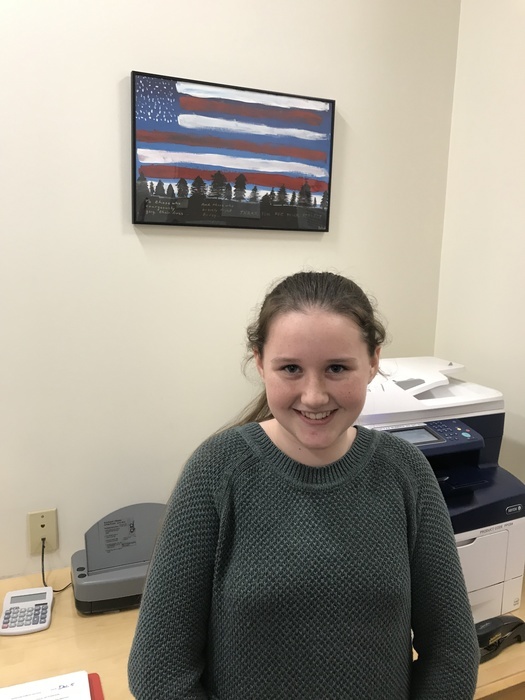 Emmaline will receive her award at LLBean in Freeport next Saturday. Thank you Mrs. Curtis for your guidance and support! 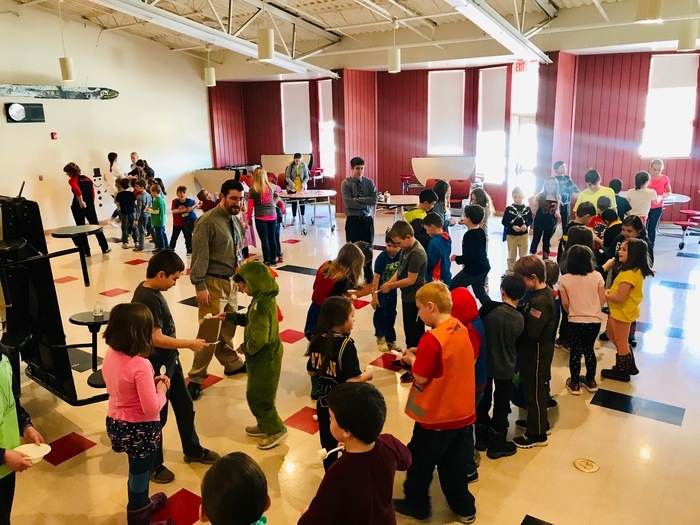 EGGSTRAVAGANZA Community Breakfast! Saturday, March 30 from 8 - 9:30a.m. at the Veazie Community School Cafeteria. Join us for a FREE breakfast. There will be an egg hunt for children up to 8 years old. 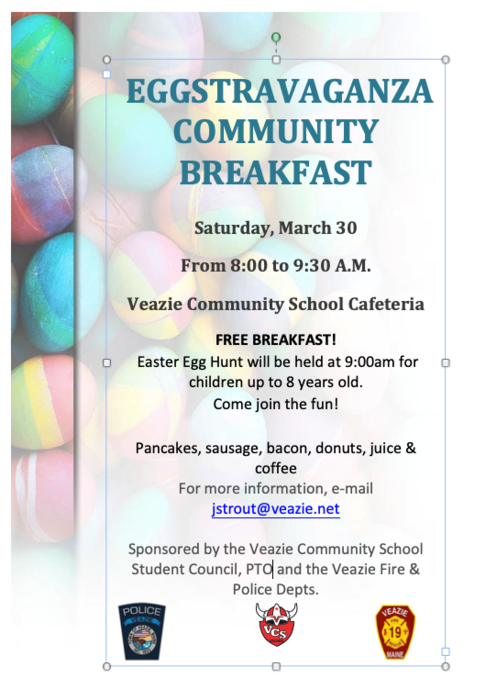 Sponsored by the Veazie Student Council, PTO, Police & Fire Depts. 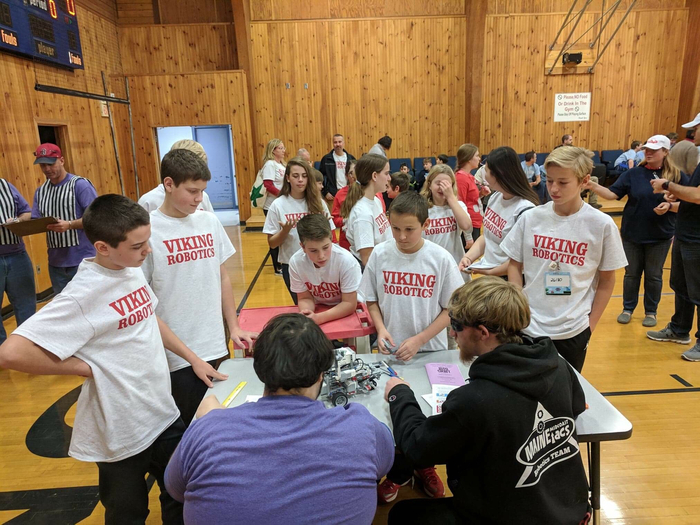 The VCS annual Invention Convention was held yesterday! 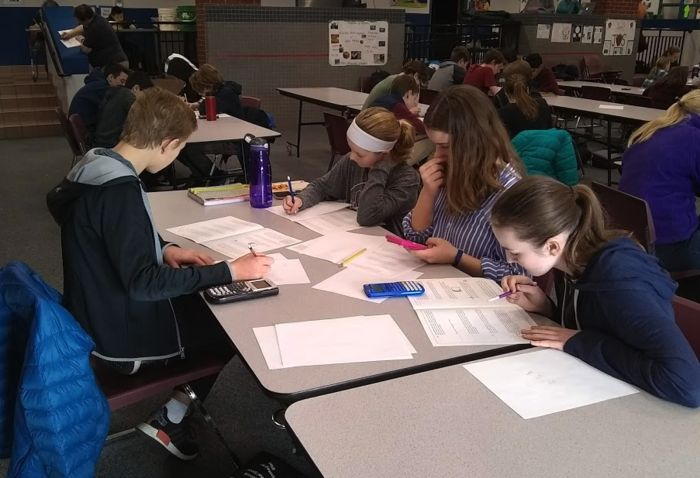 Students have spent the last several weeks researching problems and finding solutions to many everyday problems. 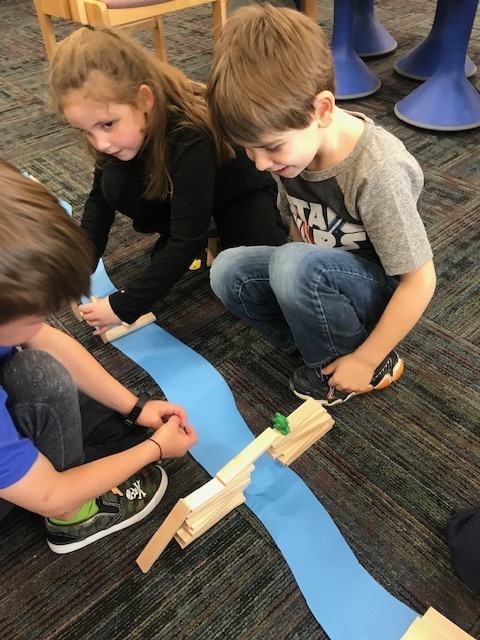 They all worked hard developing their inventions to solve some of those problems and to market them. A big thank you to this year’s judges, James Dunning, Dr. Julie Keene, and Valli Vel. 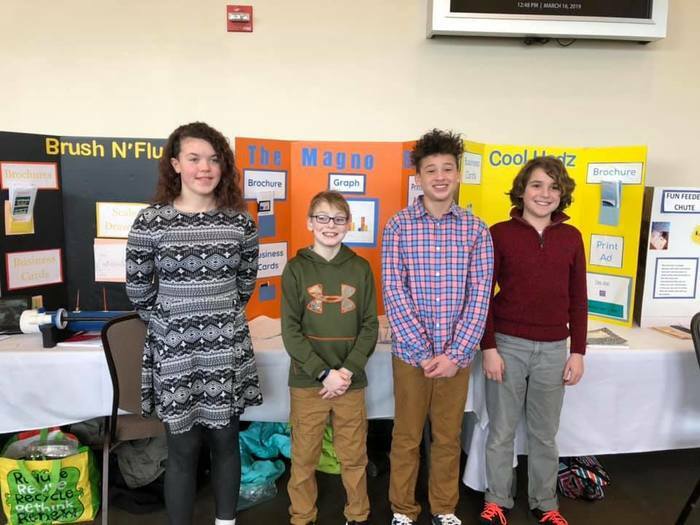 Our top 5 participants will be moving on to the State Invention Convention next week and they are as follows: Will Francis, Camden Brown, Olivia Bragdon, Duncan Carlisle, and Lana Friess!! Even more students stayed after school yesterday for winter carnival activities lead by our amazing Student Council! 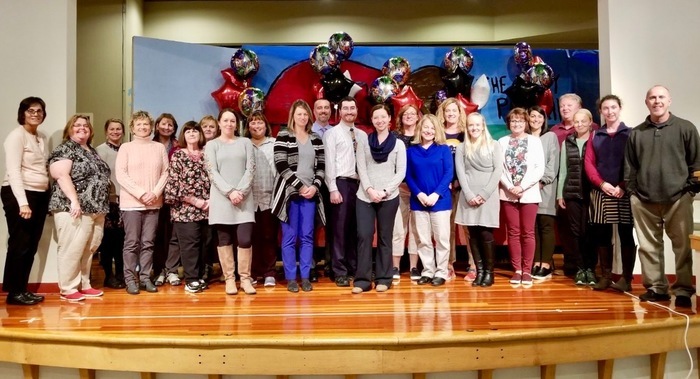 Reminder: Monday, March 11 is a Teacher In-Service Day at Veazie Community School. 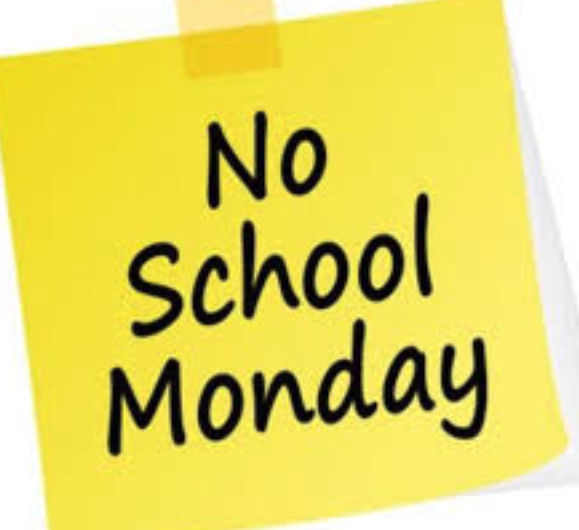 There is no school on Monday, March 11. Remember when you used to like to keep your winter boots and ski pants connected? Winter Carnival after school fun! Excellent work by our Student Council on hosting this first of it's kind event!!! Thank you to the extra staff that stayed after to assist. 75% of the entire school (PK - 8) stayed after school tonight!! 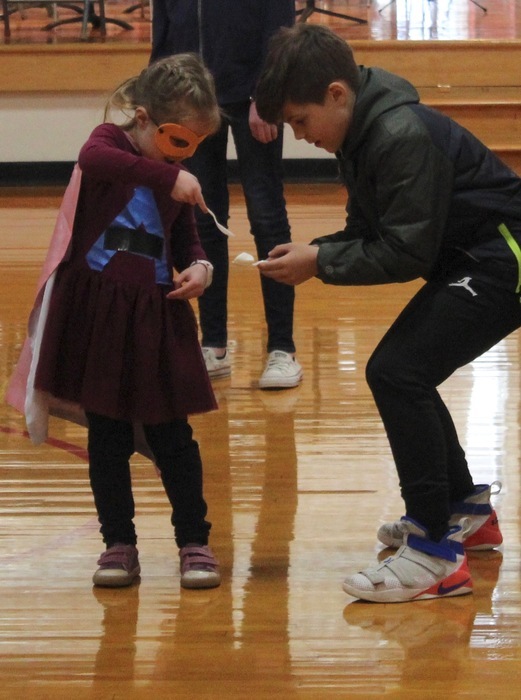 Our Student Council kicked off Winter Carnival week with a fun assembly this morning filled with challenging games and winter trivia. 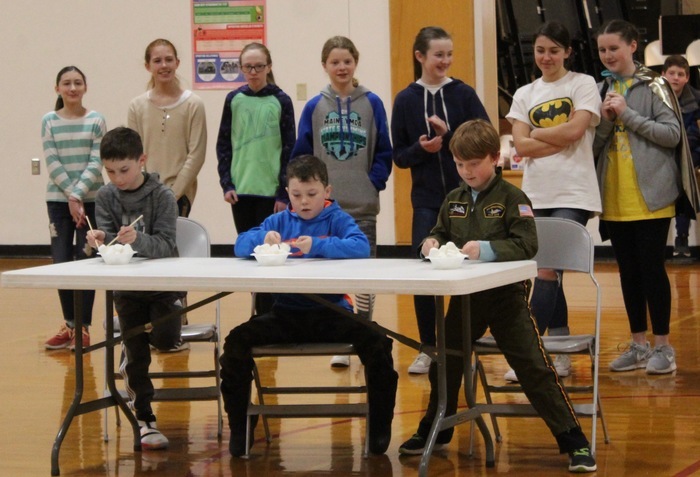 There will be after school events tonight and Thursday, and a culminating afternoon celebration on Friday that will include a camp fire tended by the Veazie Fire Dept. so that our PTO can make S'Mores for all students to go along with their hot chocolate! 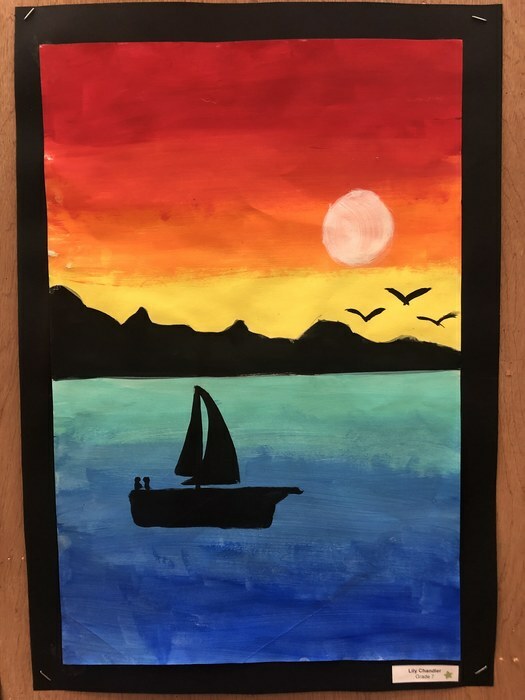 March is Youth Art Month! 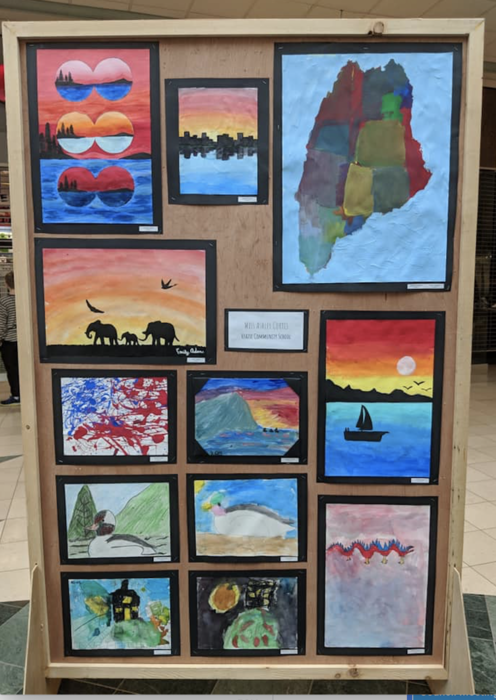 This great display featuring many different works from students in grades Pre-K - 12 all around the Bangor area will be up until Saturday, March 23rd by the old Sears entrance. 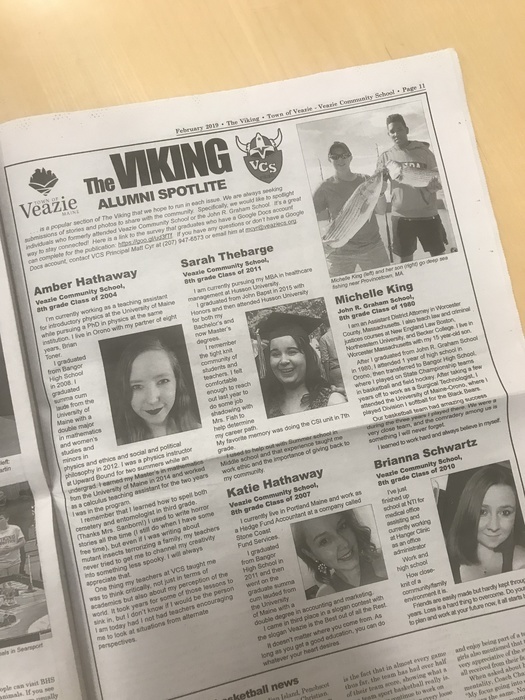 The picture below includes the Veazie Community School panel! 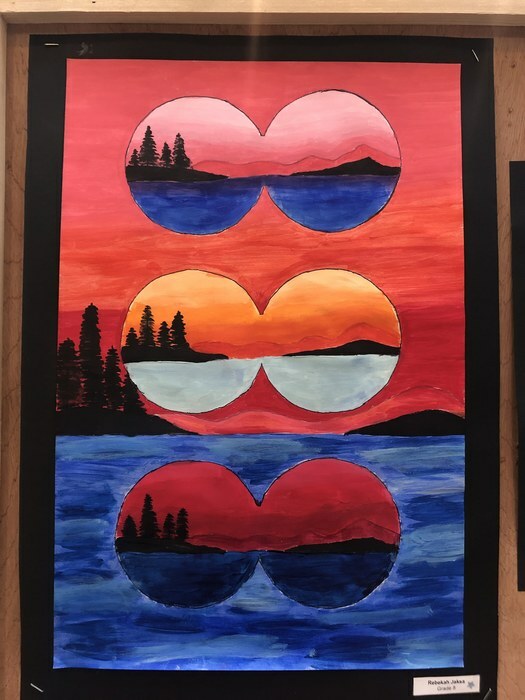 Great work by all of our artists under the guidance of VCS Art Teacher, Ms. Ashley Curtis. Veazie Community School will be closed on Monday, March 4. By now, many of you have probably heard about the "MOMO" Challenge on the Internet right now. 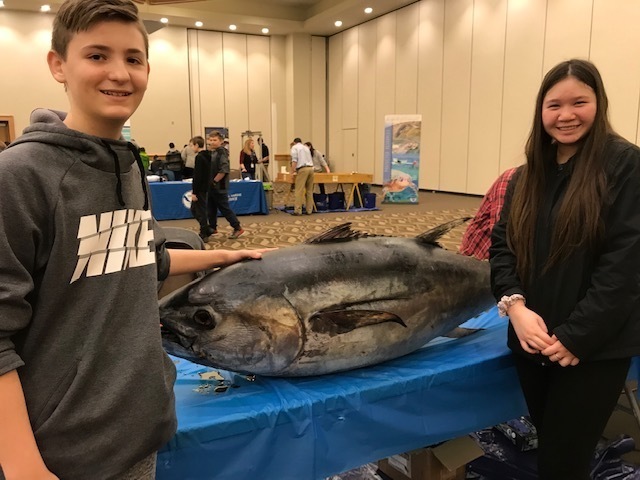 Some say it is a hoax and some say it is real…... either way it has gone viral and is gaining a lot of media attention with several news reports showing disturbing pictures. This is a great time to discuss Internet Safety. The following Internet Safety guidelines should be followed by schools and homes at all times, and not just when things like the “momo challenge” present themselves: -Bringing up the MoMo Challenge (or other safety concerns) specifically may lead children to investigate it themselves. Instead, consider asking them whether they encountered anything online that caused them to be worried or upset. -If your child is aware of this trend, remind them that Momo is not a real person, cannot directly harm them and cannot tell them to do anything. -Remind children never to contact strangers online, regardless of the method, and never to give out personal information. -Tighten device settings and parental controls. -Report and block any content that is harmful or disturbing. -Supervise your child’s online activity, limit video games and YouTube use to shared family spaces and keep an eye out for unknown phone numbers or email addresses. 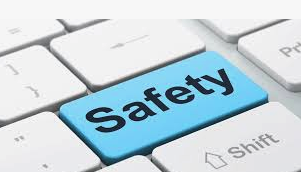 As a school, we follow all federal rules and guidelines to keep children safe while using the school network and school devices. Unfortunately, as hard as we try, there always seems to be something new that trends with students and young people long before parents and school staff become “in the know" (such as the Momo Challenge). VCS will continue to use best practices and embed digital citizenship in all that we do. 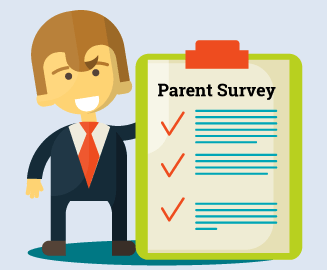 Students only spend a small portion of their day in schools, however, so we ask for support from the home front in monitoring the use of technology and more importantly, talking with your children about what they do online. Please stress that children should always report anything they see or hear that makes them feel uncomfortable or unsafe. Thank you for your support. 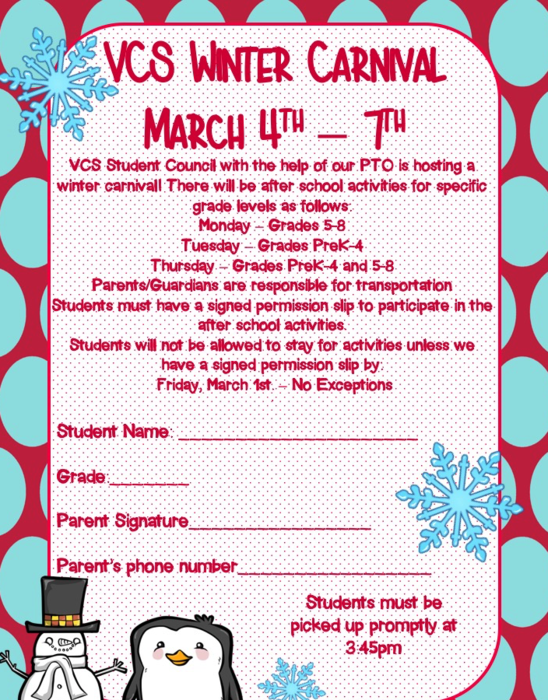 The VCS Student Council is hosting a Winter Carnival week, nest week. Many of the activities are after school, and require signed parent permission--these forms have been sent home. Here is a copy if you'd like to print. Reminder: Parents must pick-up students on days they stay after....the school does not provide after school transportation. 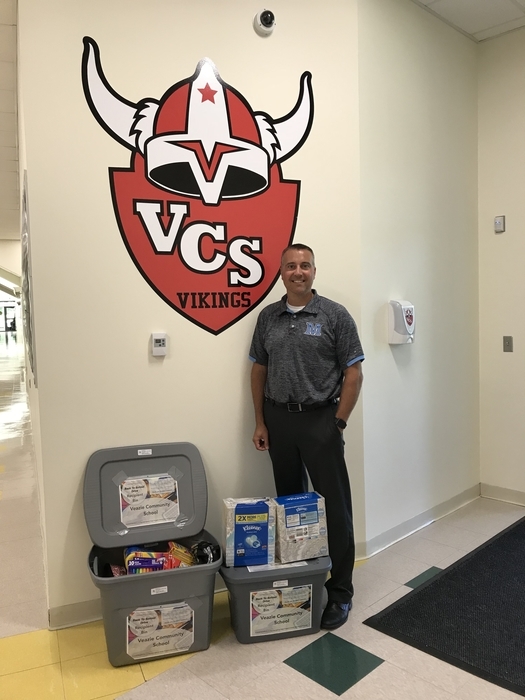 VCS Student Council Team Members delivered the donations they collected over the last few weeks to the Bangor Humane Society!! 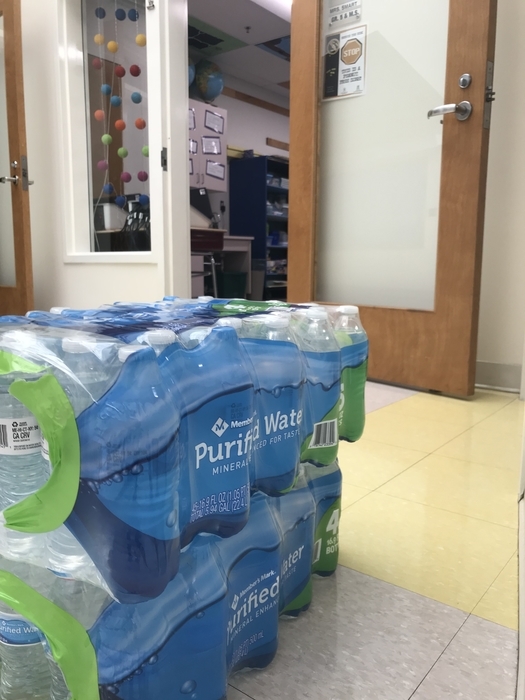 A big thank you to everyone who brought in donations! This was a great way to kick-off Feb. Vacation week! Stay safe everyone! 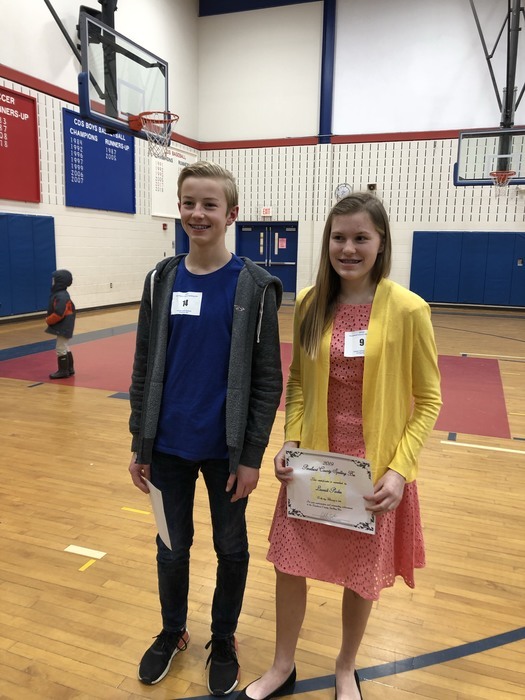 Laurali Parker and Martin Skacel proudly represented Veazie Community School at last night's Penobscot County Spelling Bee. Congrats to both students just for the honor of being there. Martin finished in 4th place!! WE ARE PROUD!!! The Veazie Town Office is closed today. There will still be trash pickup. Veazie Community School will be closed tomorrow, Wednesday, February 13. Be safe. 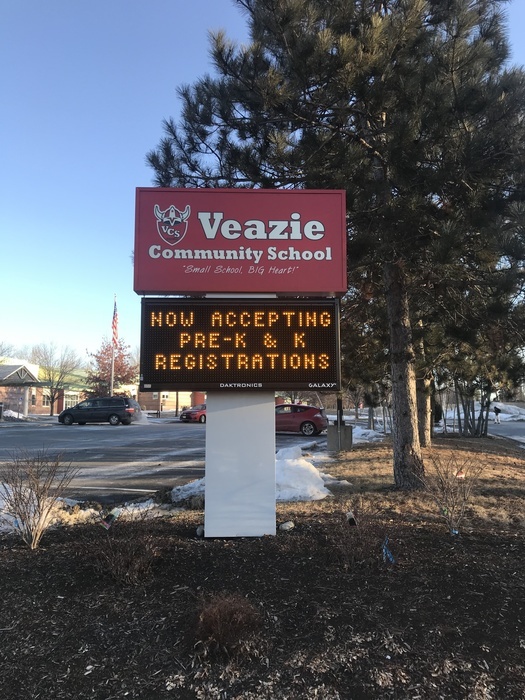 Veazie Community School is now accepting applications for our 2019-2020 full-day Pre-Kindergarten and Kindergarten programs. 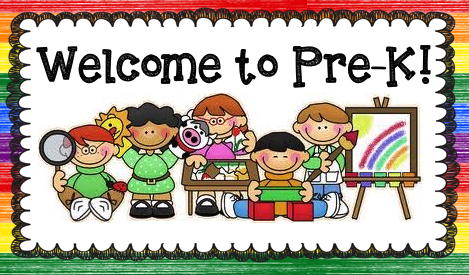 Please stop by our school to pick-up documentation and schedule a school tour with the Principal, Matt Cyr. 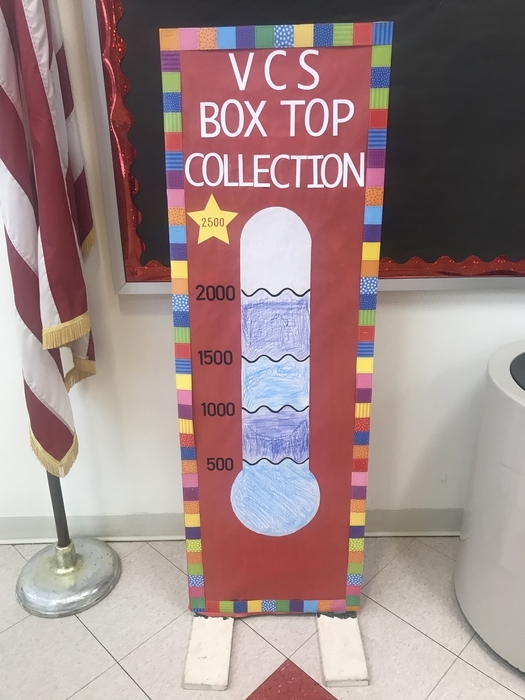 Our student council Boxtop collection goal is within reach! 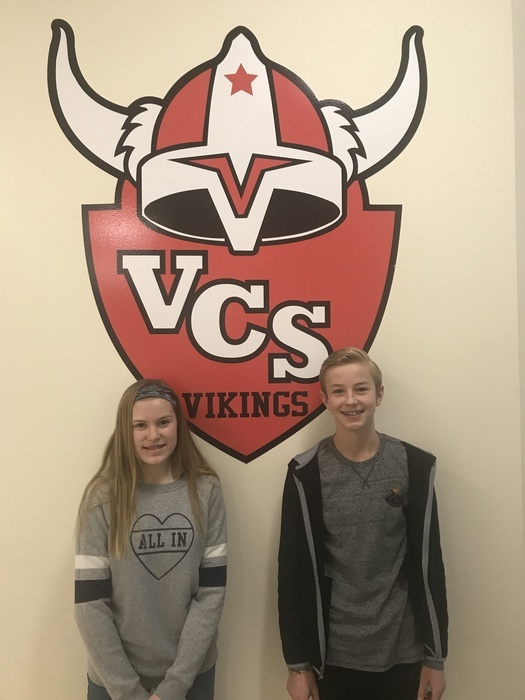 Congrats to VCS spelling bee winner Martin Skacel, and runner-up, Laurali Parker. 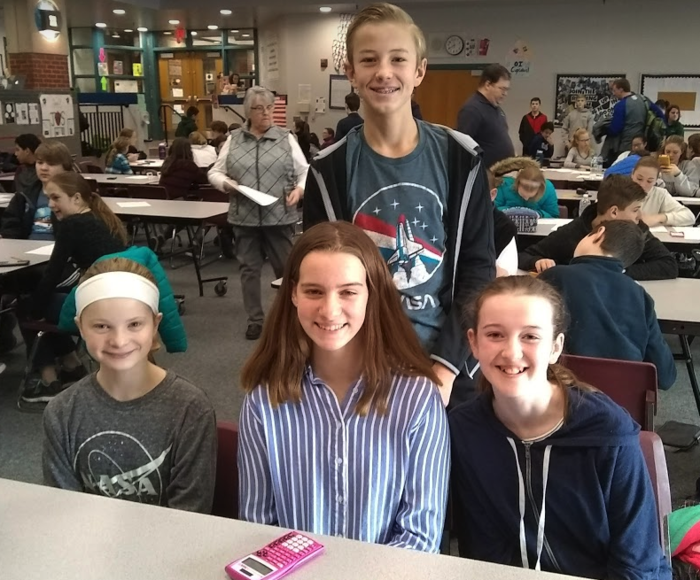 Both will represent our school at the County Spelling Bee on 2/13/19 at Center Drive School in Orrington (6p.m. start). 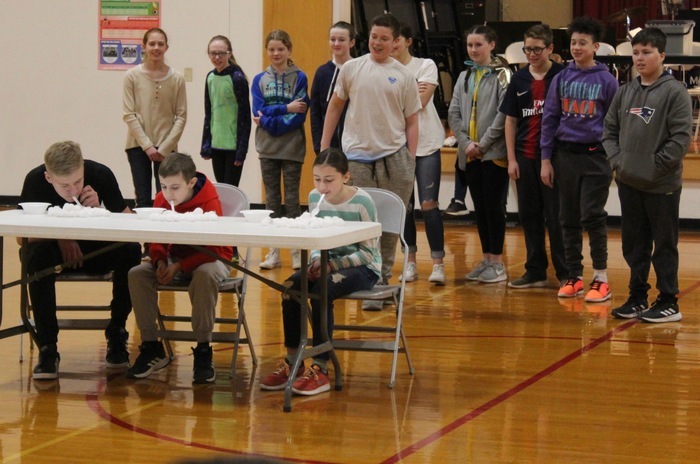 All spellers were outstanding in today's school spelling bee! 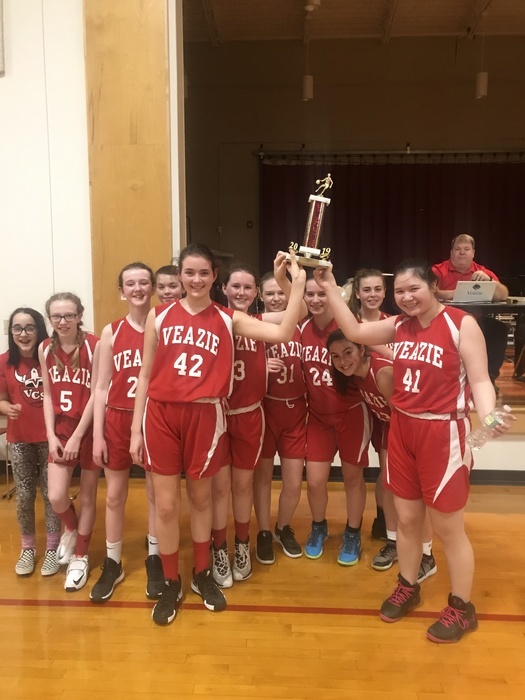 Congratulations to Veazie Community School Boys and Girls Basketball Teams! 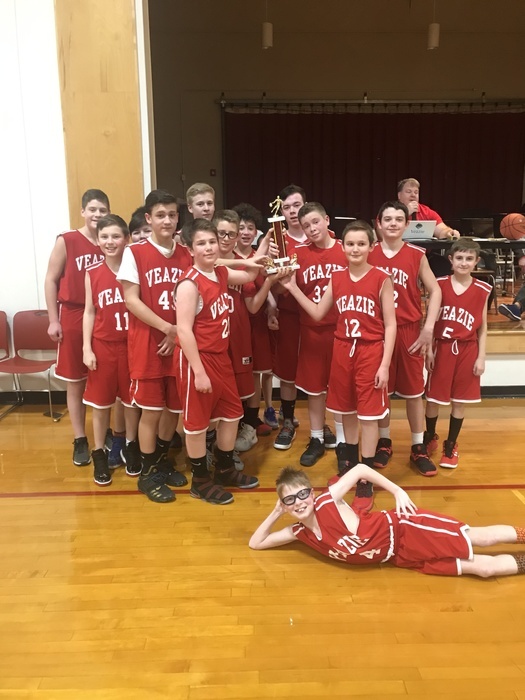 This evening, both teams finished runners-up in the Small School Division 1 Tournament. The boys team also won the Sportsmanship award, which is voted by league coaches. WE ARE PROUD!!! Thank you Dead River Company. General Manager, Chad Caron donated tickets to Sunday’s UMaine men’s basketball game. Every VCS player and coach received a ticket! 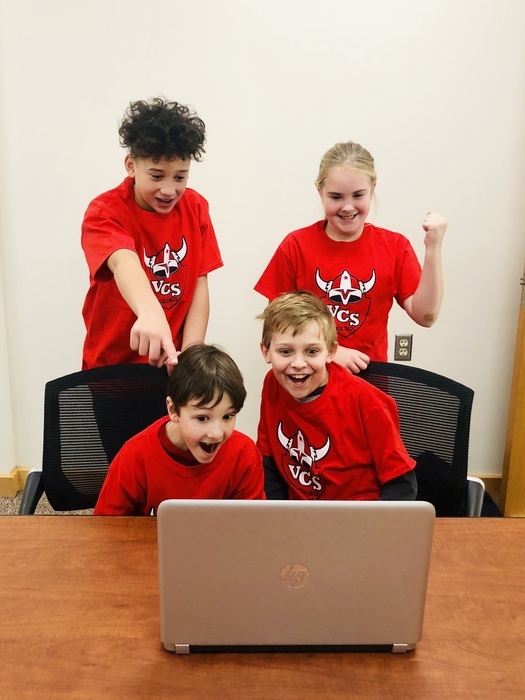 Grades 2/3 had a great time working together to complete tasks and escaping The Winn-Dixie Escape Room. They solved task about the plot, the characters, and the vocabulary from the book. 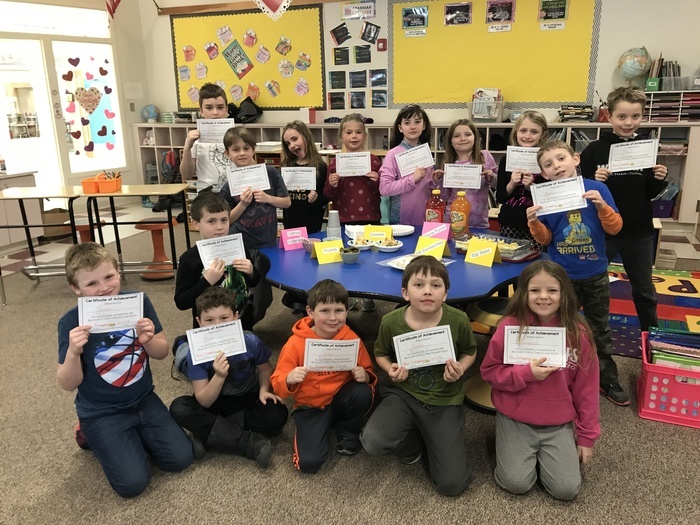 They received certificates and a party featuring food from our reading! Reminder! 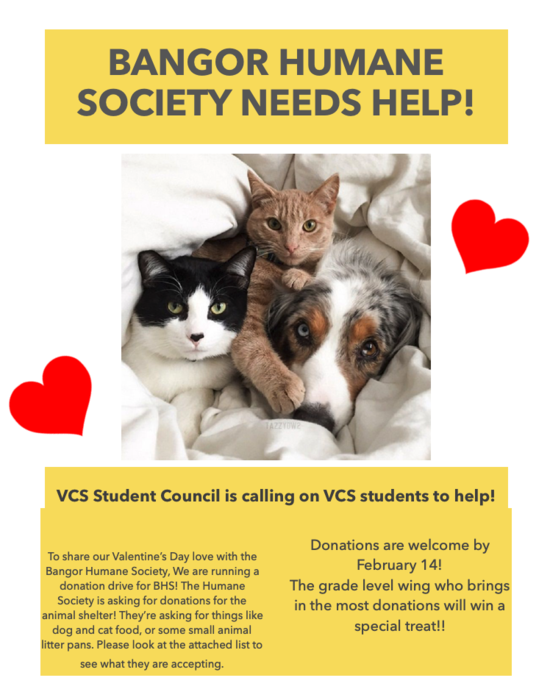 VCS Student Council is collecting donations for the Bangor Humane Society, all donations need to be delivered to VCS by February 14th! The grade level wing with the most donations will be earning an ice cream party to celebrate their efforts!!! Kindergarten students were so engaged during our read aloud of “The Toll Bridge Troll” during Library Media class Monday. 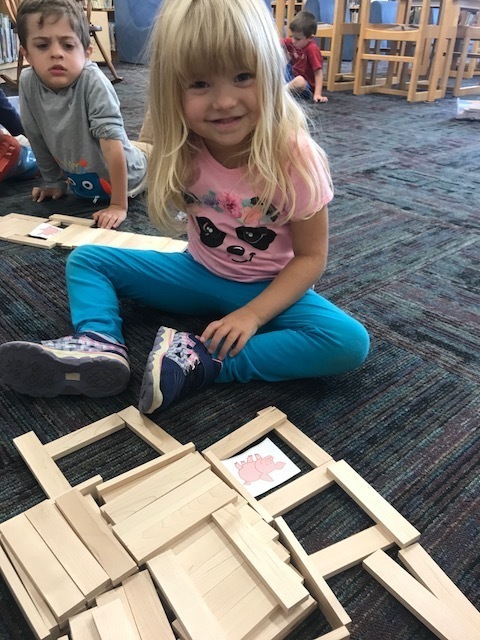 After our story, filled with lots of reenacting, new vocabulary, and even a little math, students were challenged to build their own bridge using KEVA planks. 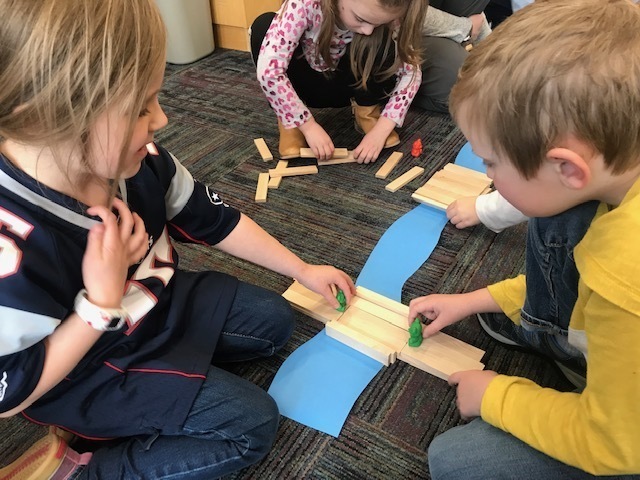 Students worked cooperatively with a partner across the river from them to help their bears cross using only twenty blocks. 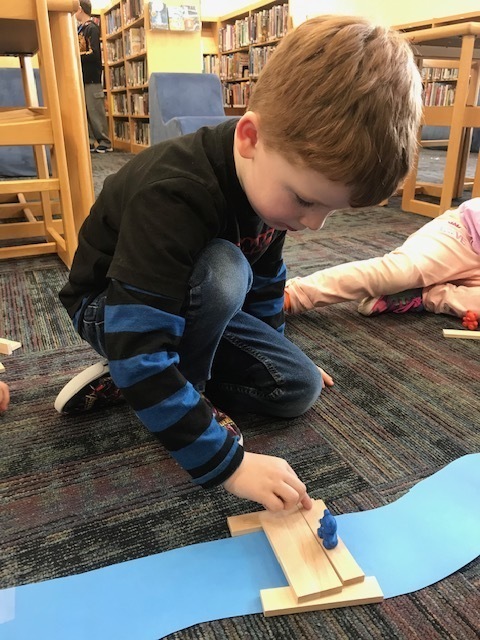 We’ll spend the month of February reading different versions of “The Three Billy Goats Gruff” along with a specific Makerspace or STEM activity to accompany each book. 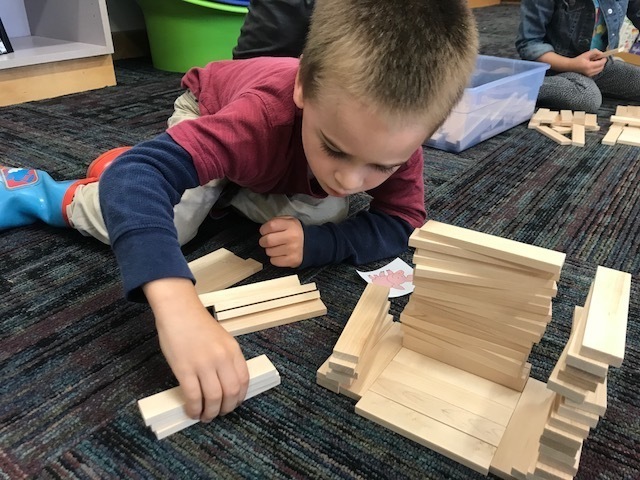 The conversations and problem solving techniques these Kindergarten students shared with one another were so inspiring, and we can’t wait to see what else they can create! 4-8 Band students are invited to play pep band music as part of Tuesday's basketball tournament games. Band students will stay after school and can be picked up at 5PM or stay for the second game with parent supervision. Parents, be sure to read and sign and return the letter sent home with students. 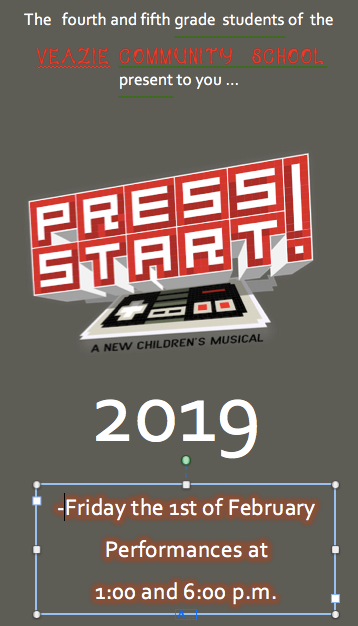 PRESS START! Join us tonight at 6pm. The Veazie School Committee has a new member! Welcome, Alex Friess. The Town Council approved his application last night to fill-in for the recently vacated seat (until the June elections). 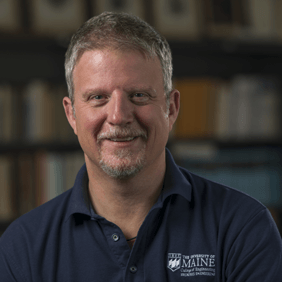 Alex is the Associate Professor of Mechanical Engineering at UMaine and proud parent of two VCS Viking students! Join us for lunch this Saturday and support a great cause. 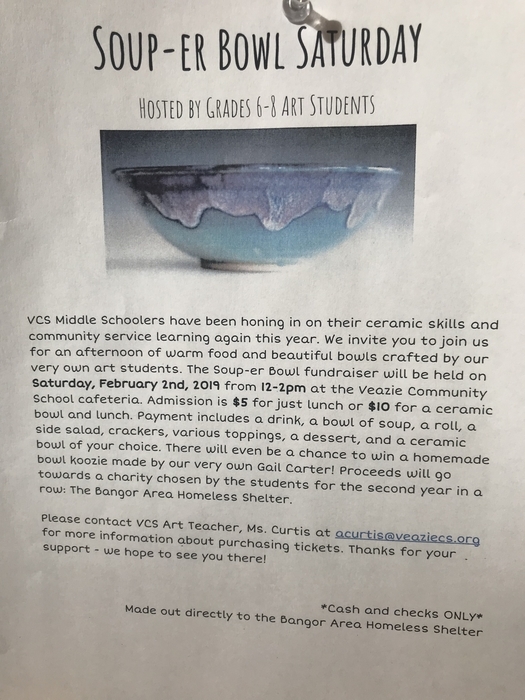 VCS art teacher, Mrs. Curtis is at it again, this time all proceeds go to the Bangor Area Homeless Shelter. 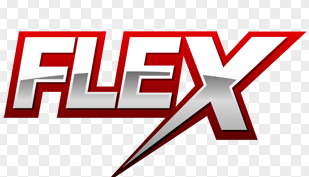 Winter FLEX Friday signups are this week! 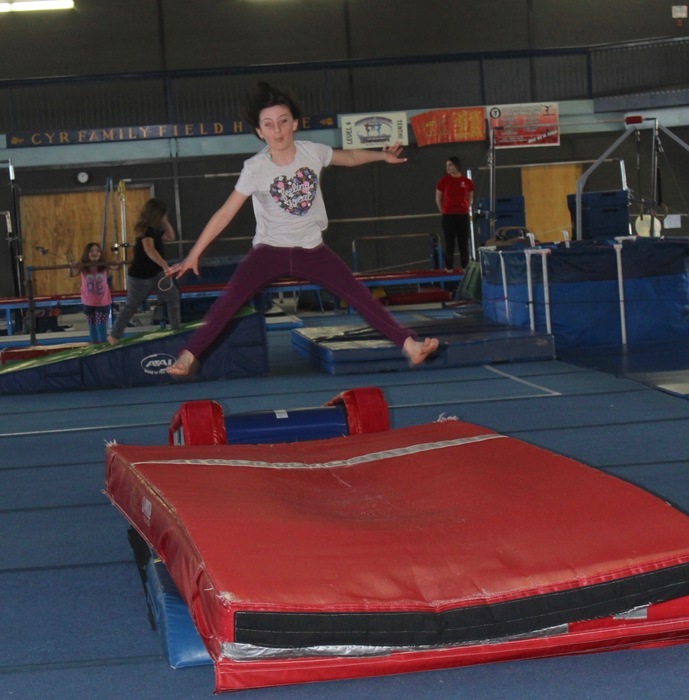 Every VCS student in grades K - 8 will participate in a self-selected, 9-week course. Classes begin immediately after morning attendance, so don't be late! This winter's selections are pretty amazing, and include: Public Safety Club (with Veazie PD and FD); Wrestling (with Bangor Area Wrestling Club); Scrapbooking, Rescue Dog Read Alouds at Bangor Humane Society; Dungeons & Dragons; Seacoast United Soccer Clinic; American Sign Language; Self-Defense (with Eastern Maine School of Self-Defense); Science Fun; Read, Write, Think; Advanced 3-D Printing (with the UMaine 3D Printing Club); Deep Snow Disc Golf; Yearbook Club; Trivia; & Knitting. 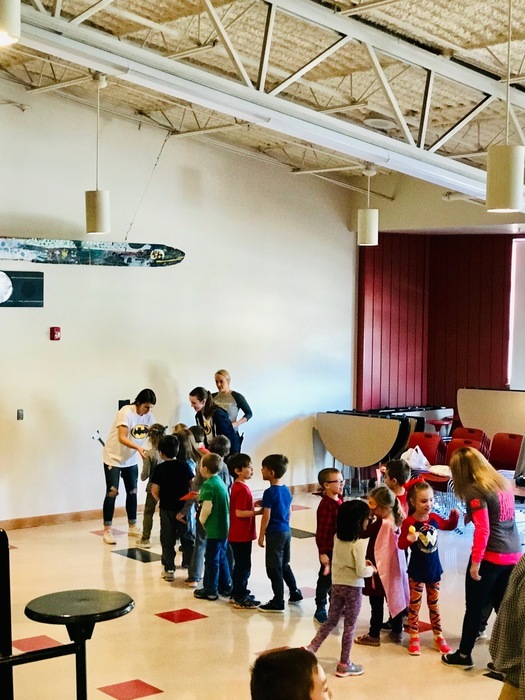 THANK YOU TO ALL VCS staff as well as community clubs, businesses, organizations and parents for volunteering and supporting this incredibly unique learning opportunity that has quickly become a cornerstone of our amazing little school. "Small School, BIG Heart!" 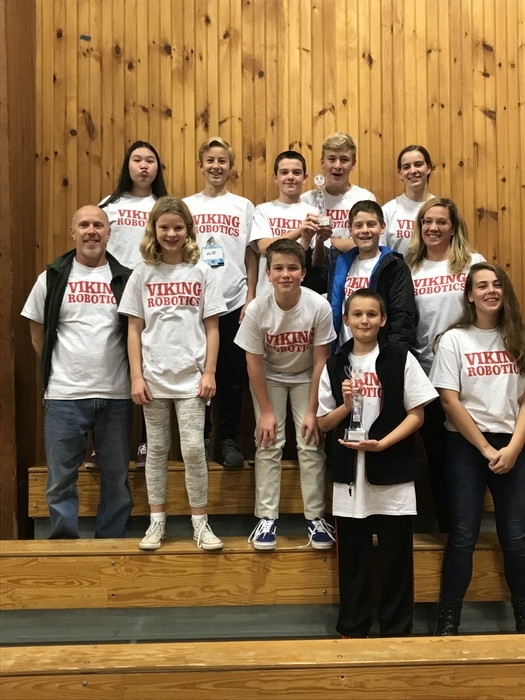 VCS was well represented this weekend at the MathCounts Competition. 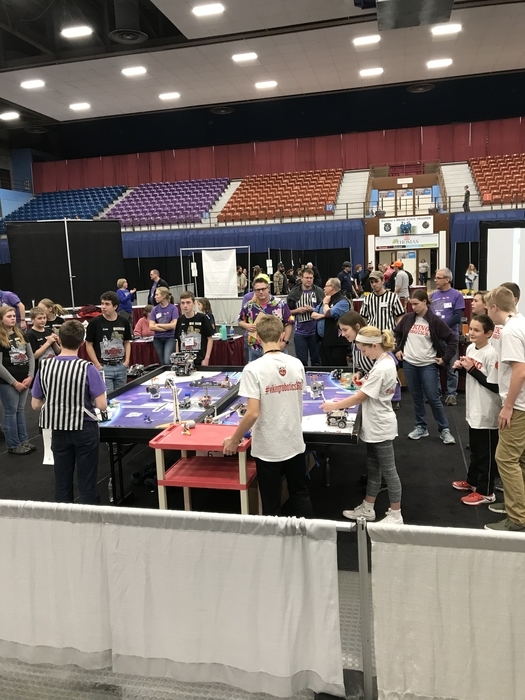 Our team finished in 6th place overall. Madison Brown had the 22nd best score with Martin Skacel earning the 29th best score. 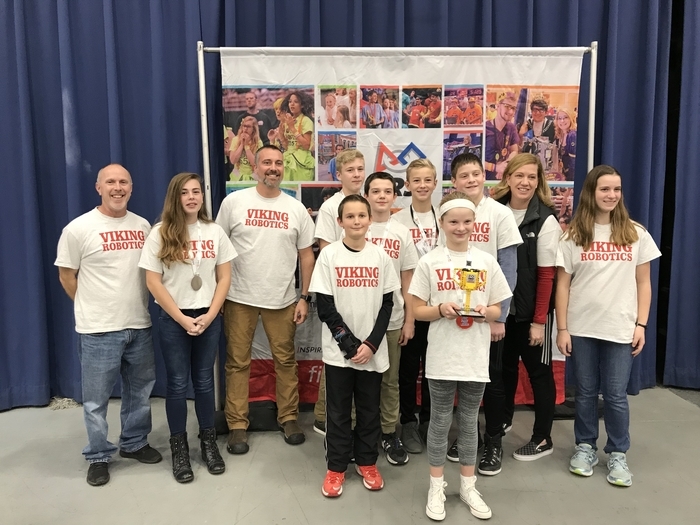 Great work, Viking Mathletes! Today's rain on top of ice jams caused a pretty extensive roof leak in our library. 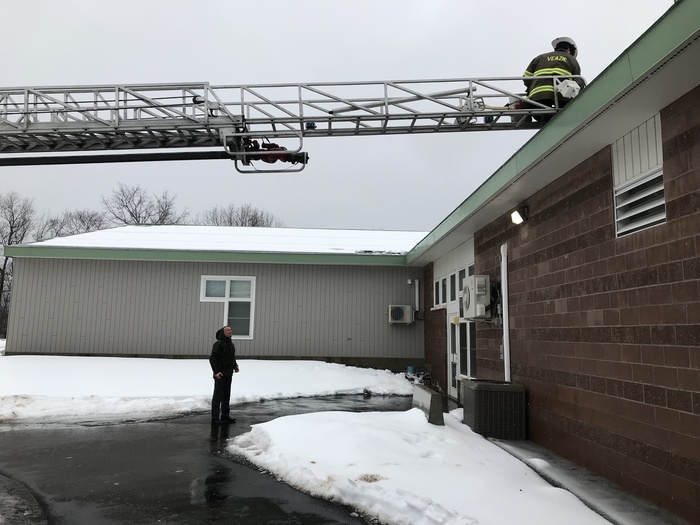 The roofing company was unsure when they could respond due to the large volume of emergency calls...... Veazie Fire Chief Mark Leonard and Assistant Fire Chief Pete Metcalf did not hesitate to offer their support and effort in these extreme conditions. We are grateful for all of the support Veazie Police and Fire departments provide our school and community! MARK YOUR CALENDARS!!! 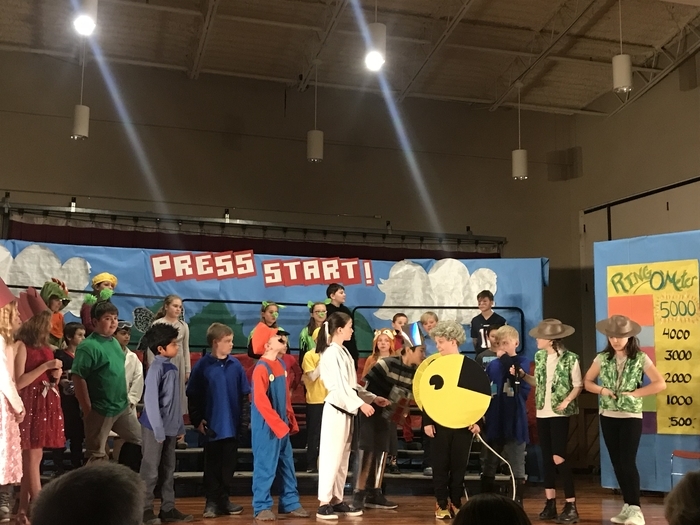 Our 4th and 5th grade is performing a musical this year titled, 'PRESS START' This video-game based production will have two performances on Friday, February 1. A 1pm matinee and a 6pm evening show. Hope to see you there! 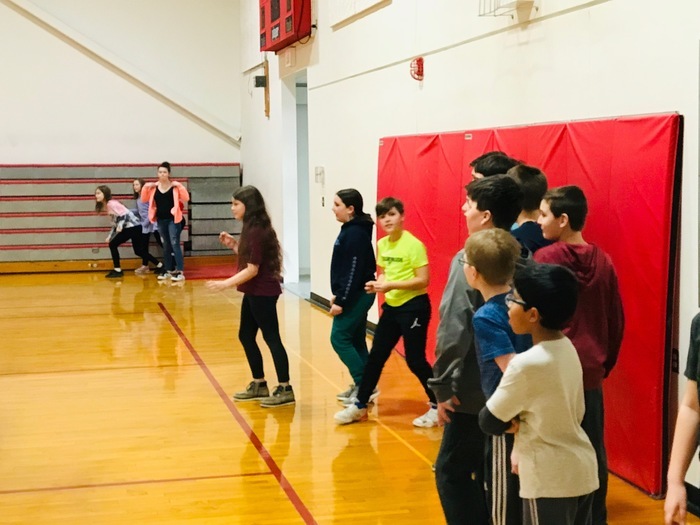 5th grade begins their snowshoe unit by learning how to walk and run in snowshoes through the VCS sports fields. We are hoping to hit some trails soon! 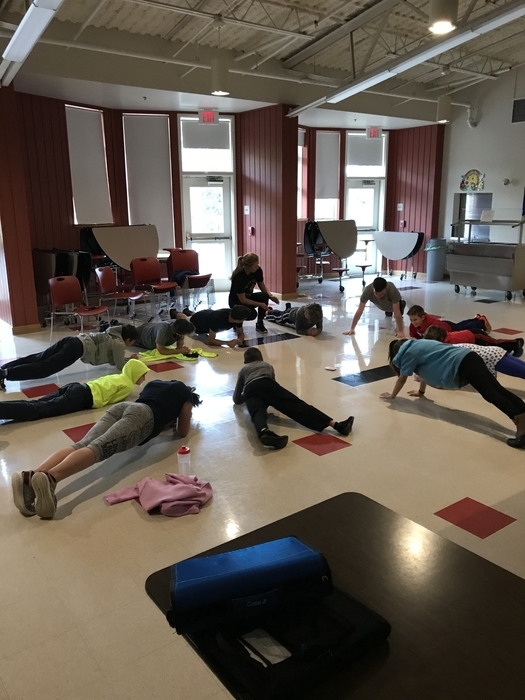 All VCS students know that it is important to get outside and stay active, even in the winter! 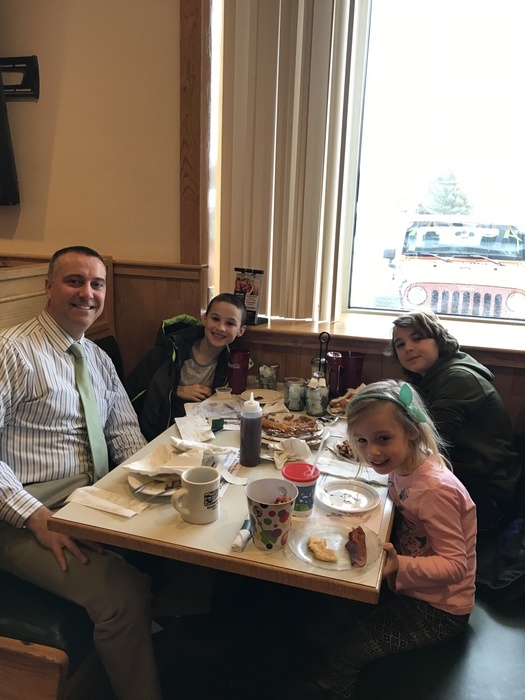 Mr. Cyr treated these three great kids to breakfast this morning at Dysart's. 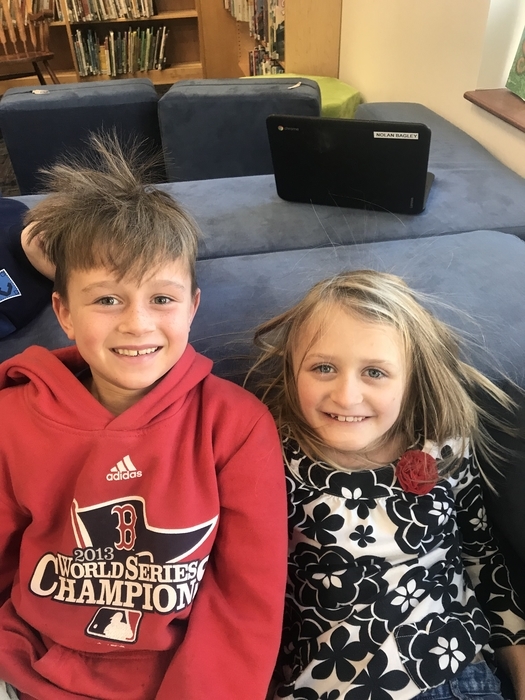 Their parents were winners of the 'breakfast with the principal' PTO online auction item. Our meal proved to be a diet buster once poutine was ordered as a breakfast appetizer! We had a great time singing in the car and even went through the car wash! Good luck to next year's bidders! 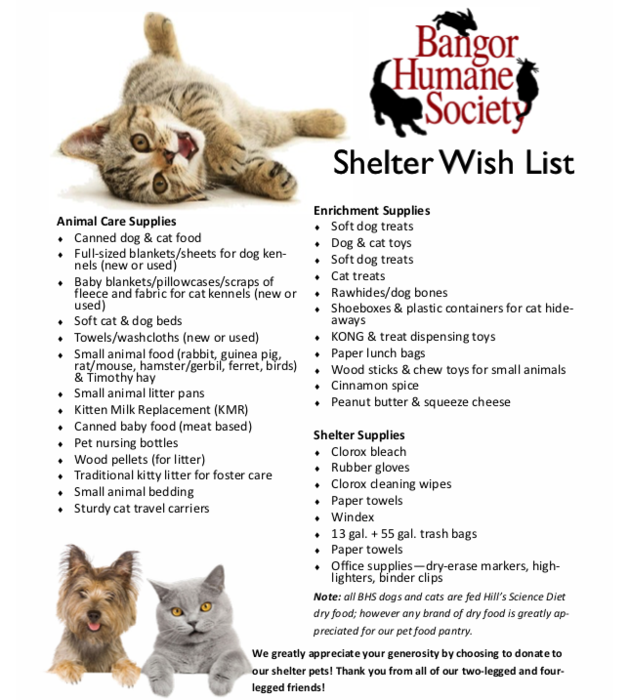 The VCS Student Council is coordinating a donation drive for the Bangor Humane Society. Please note the suggested donation list attached to this post. 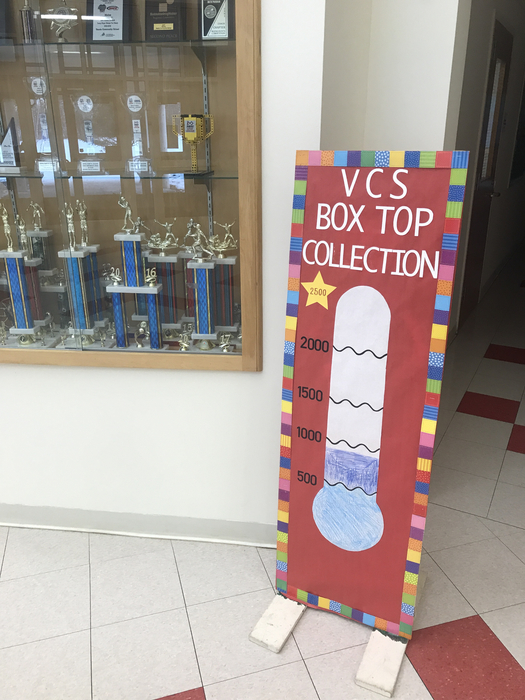 The VCS Student Council is challenging the school to collect 2,500 Box Tops before February 25. Clip, cut, send ‘em in! Thank you!! 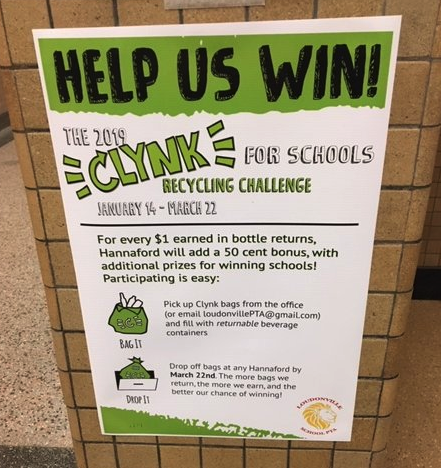 The Hannaford Clynk Contest begins today! Stop by our front office to pick up your green, Clynk bags with our PTO stickers. All after school activities at Veazie Community School are cancelled today: Wednesday, 1/9/19. This afternoon's basketball games will be rescheduled to a later date. All after school activities at Veazie Community School are cancelled today, 1/8/19. This afternoon's basketball games will be rescheduled to a later date. 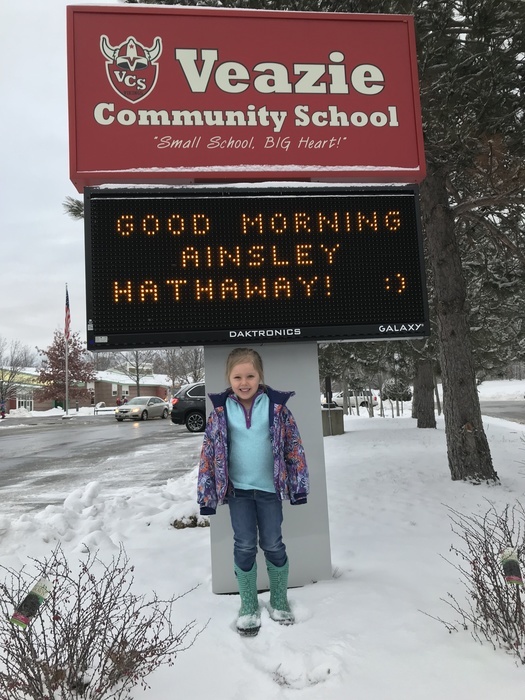 Current weather forecasts are calling for the chance of rain/snow/ice mixing during arrival and dismissal times over the next couple of days. Please use this opportunity to make sure that alternative plans are in place should a delayed start or early release be necessary. Mark your calendars! A wonderful community fundraiser in support of the Bangor Homeless Shelter. 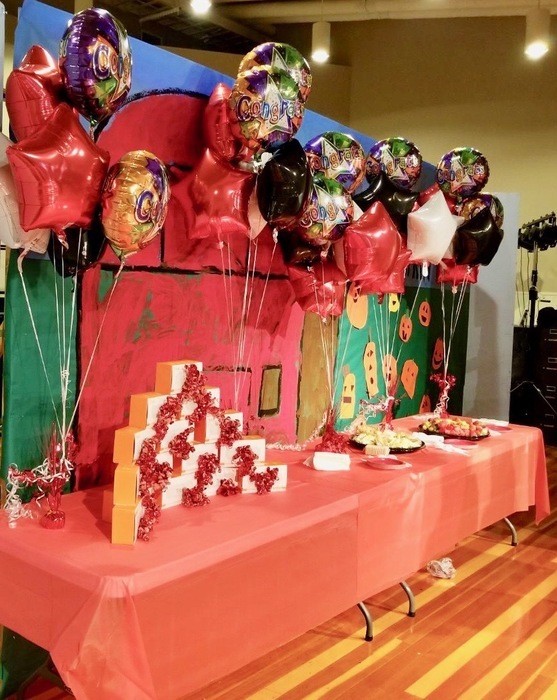 This annual event is coordinated by our very own art teacher, Mrs. Curtis! 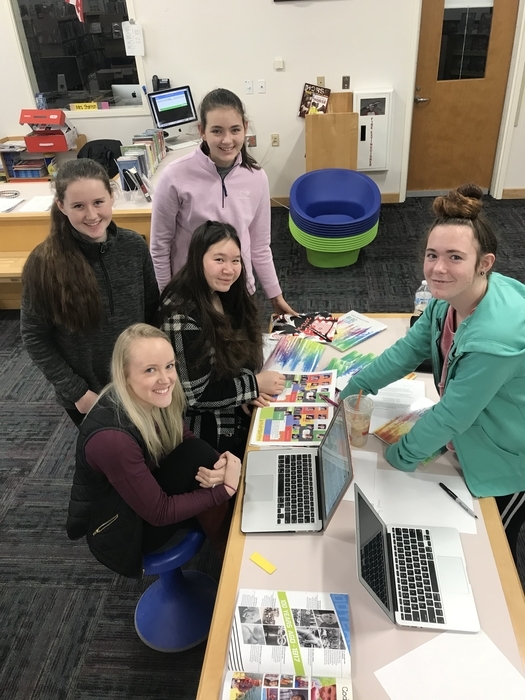 The yearbook committee led by Mrs. Shannon is working on this year’s edition. 45 Veazie Community School students had perfect attendance during the first trimester!! This translates to 31% of our student population! Outstanding!!! Data shows that student attendance rates are a significant indicator of graduation rates and overall achievement. 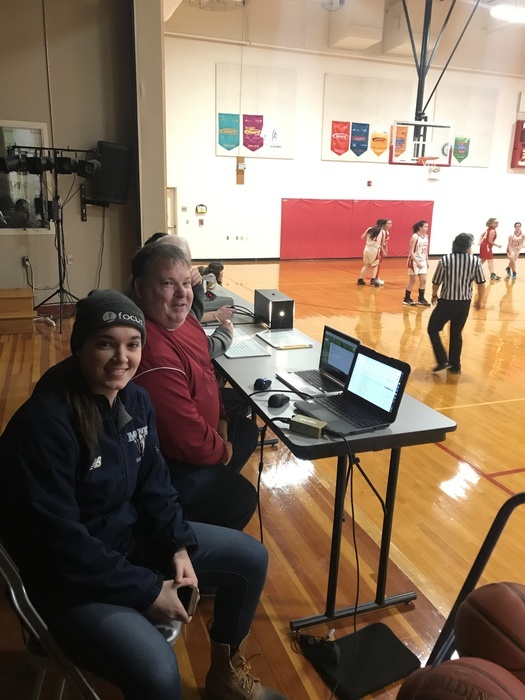 UMaine Women's Basketball Star, Parise Rossignol took a break from her university finals and made a surprise visit at tonight's home games. Thank you, Parise! You made some lasting memories tonight for our VCS athletes! Go BLUE!!! 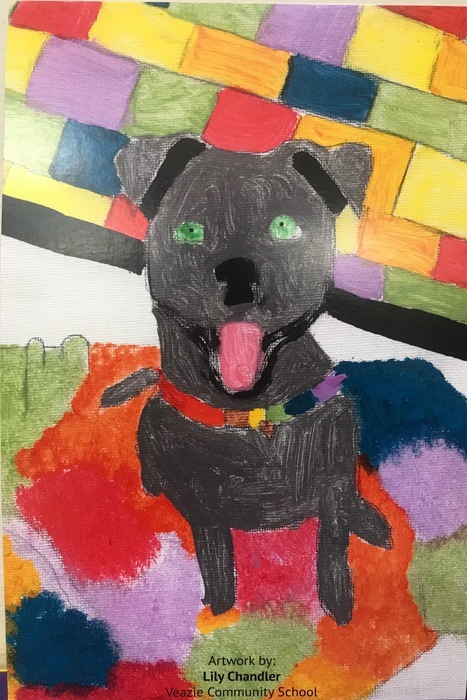 VCS 7th grade student-Lily Chandler's painting was selected to be used for the Bangor Humane Society's most recent communication campaign. 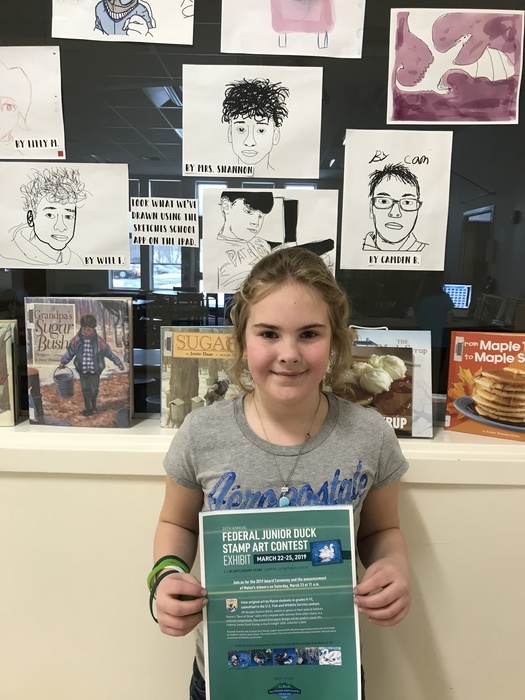 Great work, Lily! WE ARE PROUD! 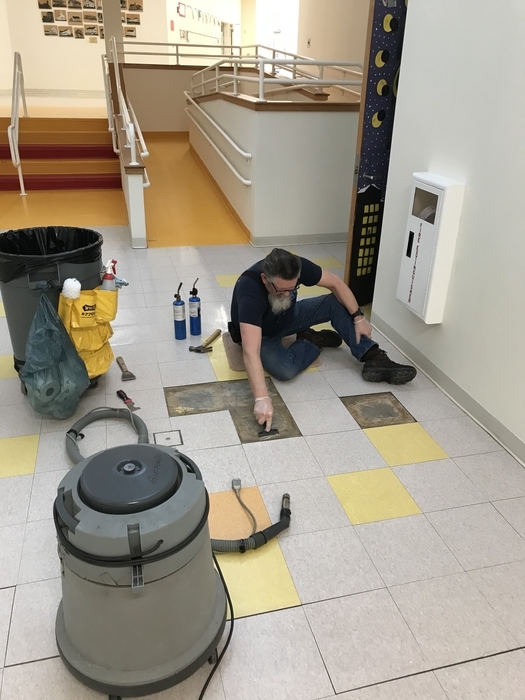 It might be a snow day but Smitty is still working hard to keep our school looking beautiful (Seen here replacing damaged floor tile today). 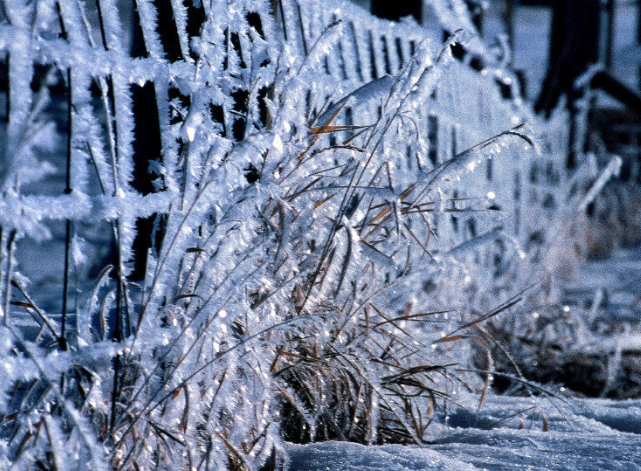 Due to the forecasted weather, Veazie Community School will be closed today: Monday, December 17. Just a little bit of static in the air today! 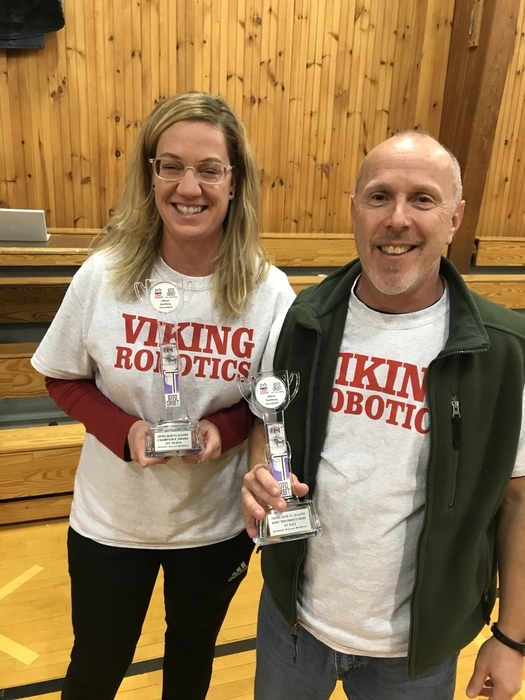 VCS Viking Robotics had a very successful day at today’s State championships. 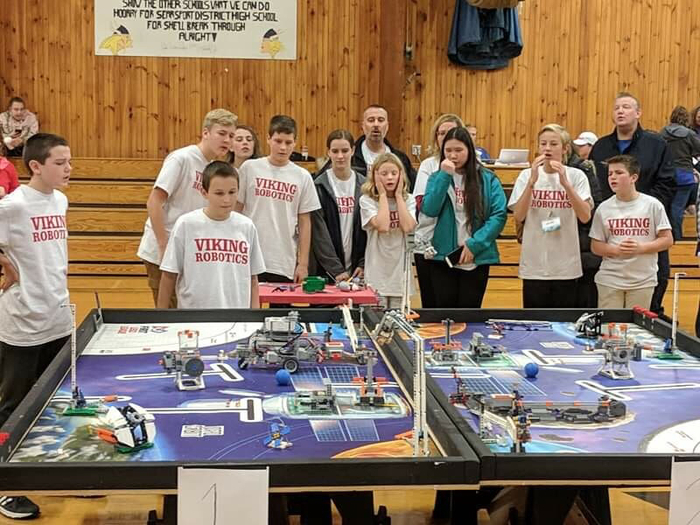 In a field of 44 teams from around Maine, VCS had the 7th best robotic programming score, finished 2nd place in the playoffs and won the 2nd place Innovative Solution award. WE ARE PROUD! WOW! 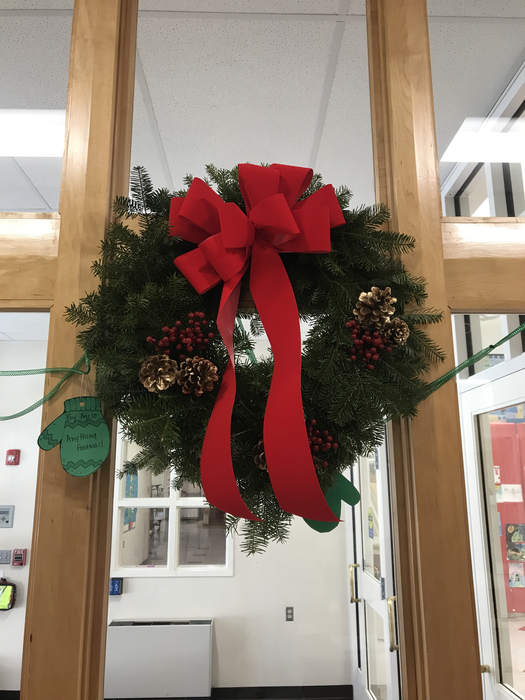 Thank you Veazie Garden Club for the beautiful wreath to hang in our office. 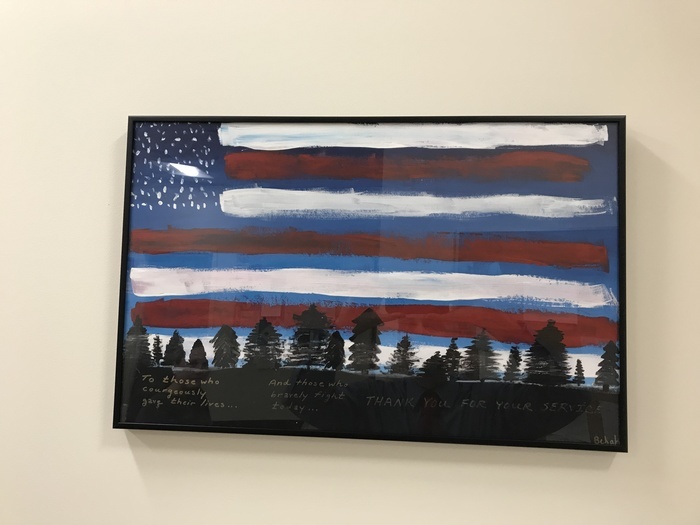 VCS student, Bekah Jaksa's Veteran's Day Celebration painting was just too good to not put on display for all to see for the years to come. This beautiful piece can now be seen in the VCS office. We are proud of you, Bekah! Great work! 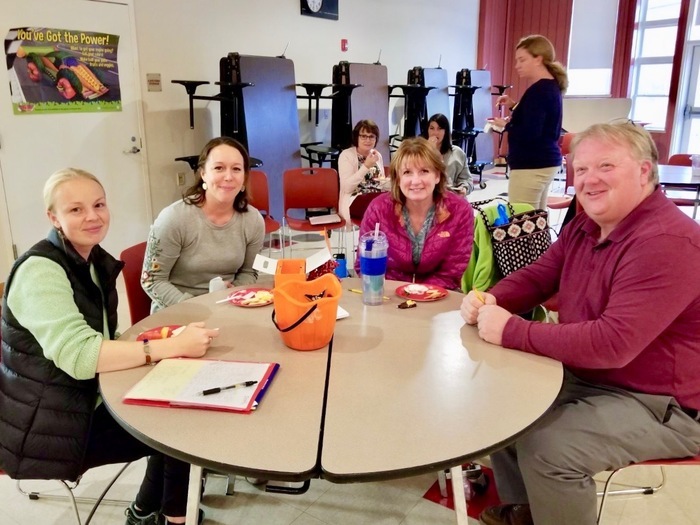 Hannaford Helps school dollars are due in the VCS box (at Hogan Road Hannaford) by Friday, December 7. Please check to see if you have any of these kicking around at home. If you are not able to get to the store, please drop them off here at school and we will gladly make a deposit for you. Thanks! Only two days left in the PTO Online auction! We are very close to our fundraising goal. Thanks to all for the continued support! 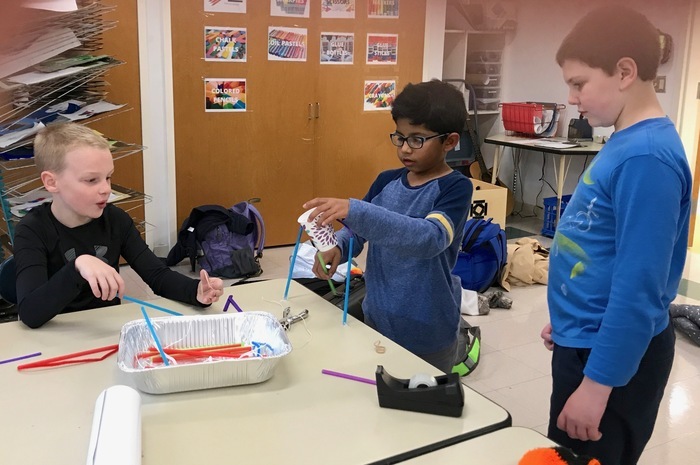 Tomorrow's Grade 1 - 3 After School STEM Club is cancelled. 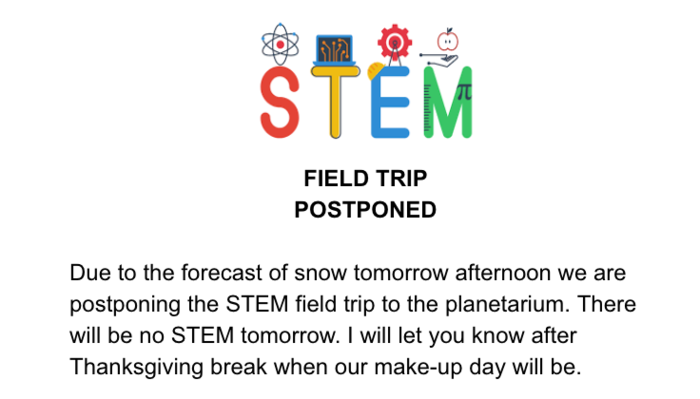 The field trip to the planetarium will be rescheduled at a later date. 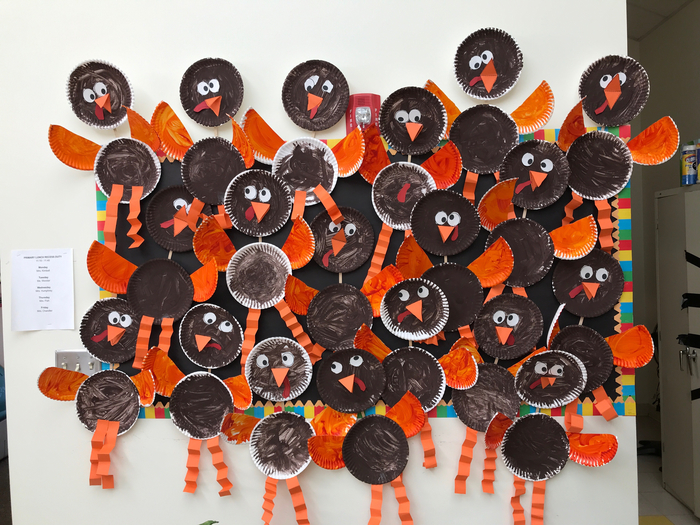 Just a bunch of turkeys in Kindergarten! Our PTO Online Auction is just around the corner. 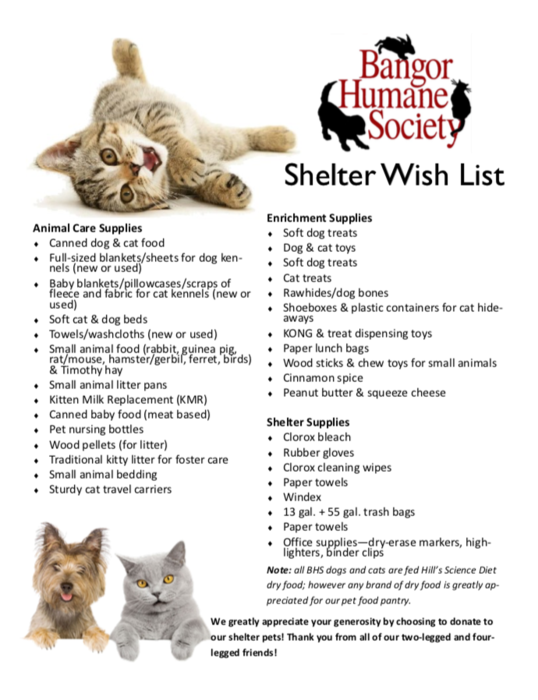 We are still seeking items and services to add to our growing list of auction items. This is our largest fundraiser of the year!! Thank you for your support! Get ready to bid early and often! Do you like to bake? Have a special pie recipe? 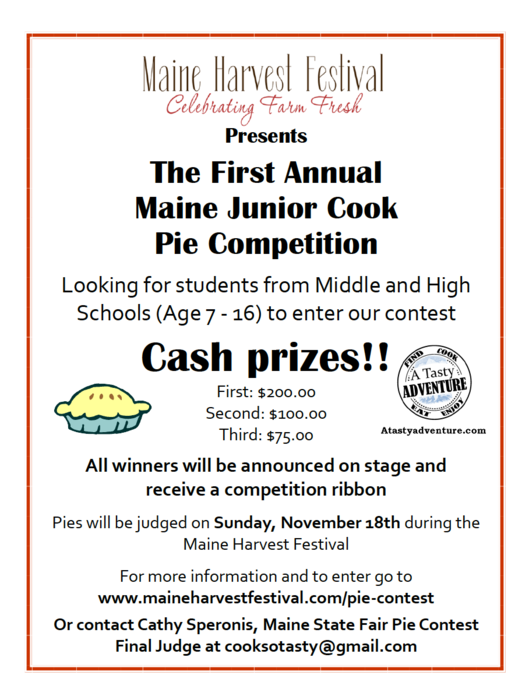 Here is a great local opportunity for young cooks! Ready or not...... Winter Weather is upon us! 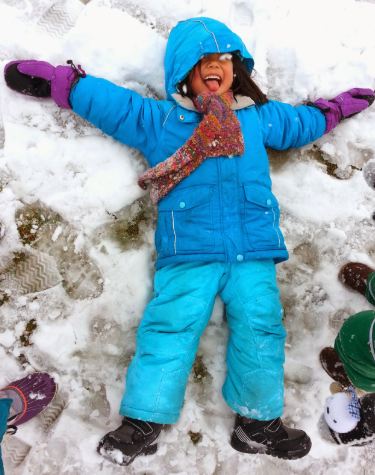 Please be certain to send your child to school with appropriate outdoor clothing--including a hat, gloves, boots, jacket and snow pants (if they play like the student in this picture). Thank you! Thank you to everyone who supported our recent Scholastic Book Fair. 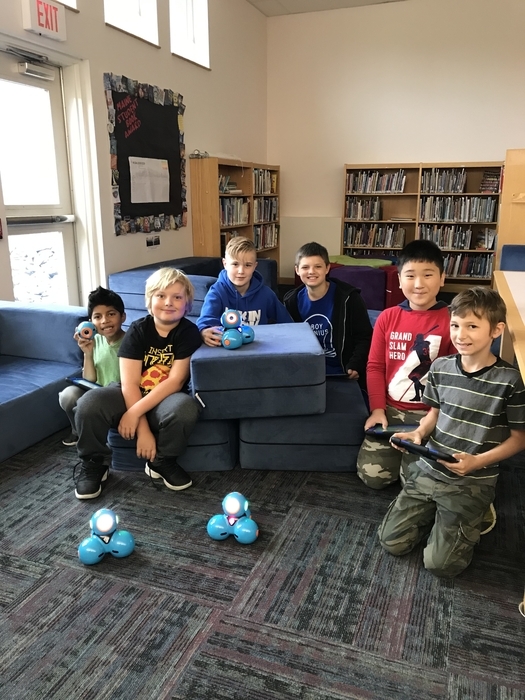 We were able to raise over $750 to support our library, STEM resources and classrooms!! In addition, 44 books were purchased directly from the fair for our teachers. We hope everyone is enjoying their new books and can't wait to hear more about what you are reading. One last call for blood donors! VCS is hosting a Red Cross Blood Drive today from 1 - 6p.m. Walk-ins are welcome! 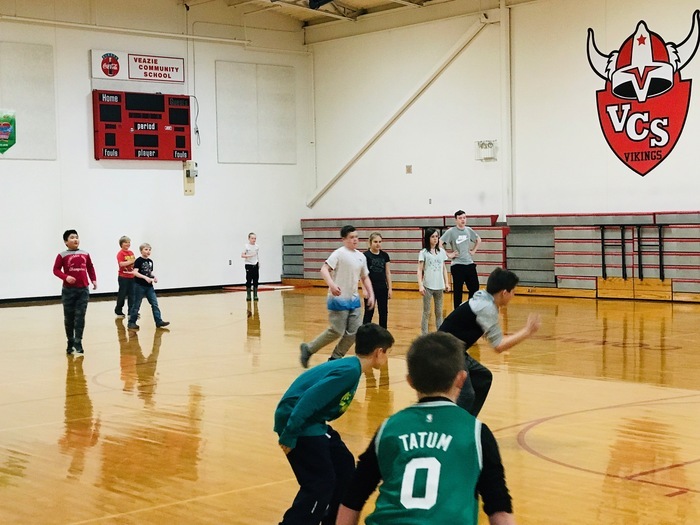 During recent Physical Education classes, 4th graders play the game "kinball", a team sport created in Canada. Kinball is played with a ball that is 4 ft in diameter, but only weighs 2 pounds. The goal of the game is to catch and control the ball before it touches the ground. 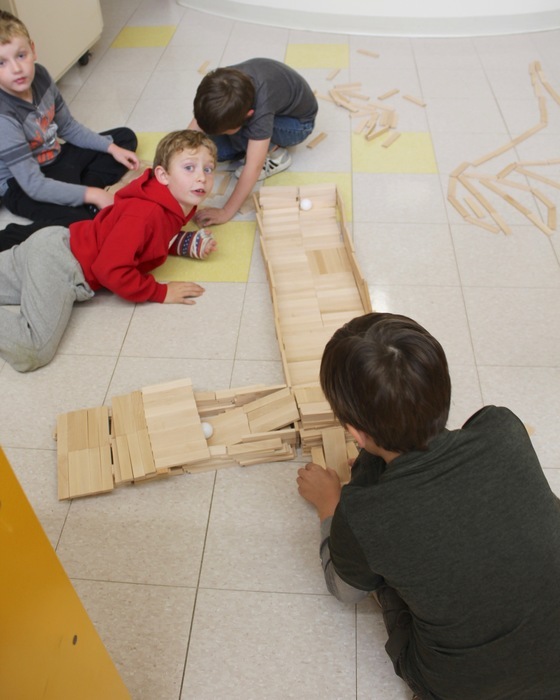 The 4th graders demonstrated amazing teamwork skills while playing this fun game! 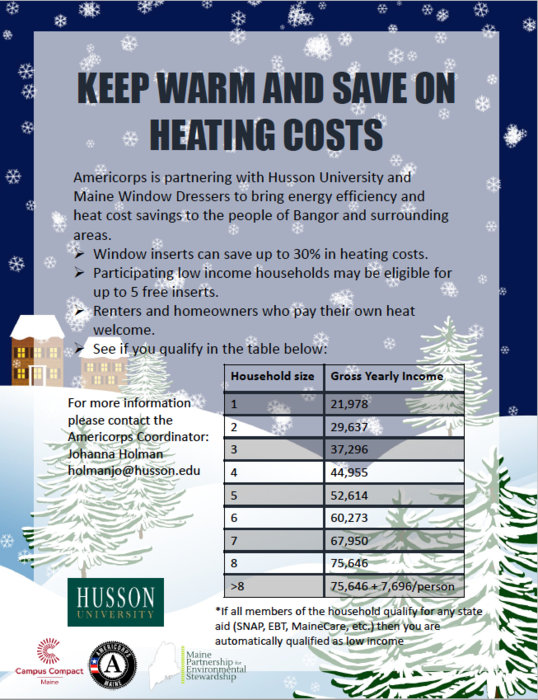 Help us to share news of this cost and energy saving opportunity for qualifying individuals. Monday's PTO meeting has been cancelled. Our next PTO meeting is Monday, December 3, 2018. Hogan Road Hannaford has displayed some of our student work! 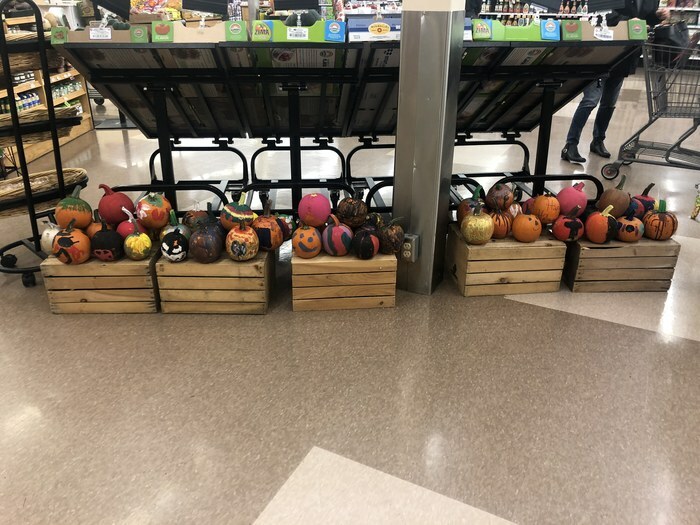 If you recall, they had donated pumpkins for some of our younger students to paint. Please do not forget the Hannaford Helps campaign! Last year we won the store contest! Let's do it again! 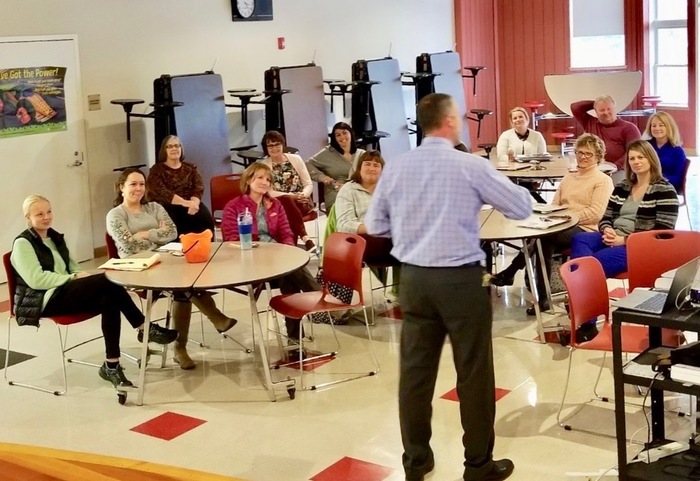 At tonight's staff meeting, we slowed things down a bit and took a moment to reflect on, and celebrate our successes as a school. Thank you to the PTO for providing snacks and gifts! 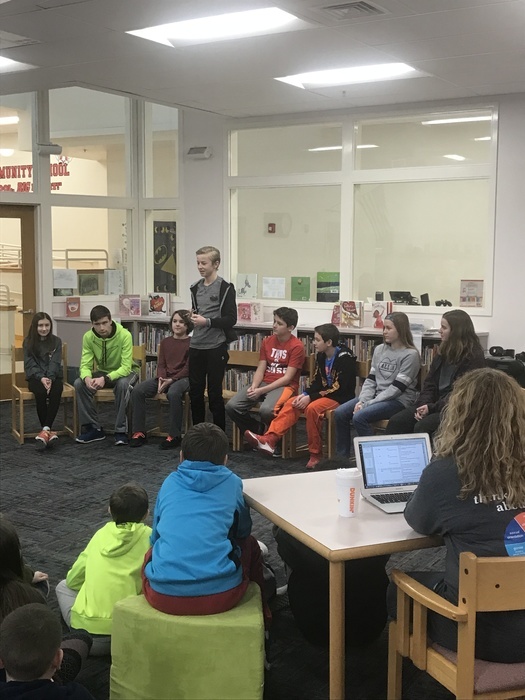 Middle school students have been creating their own versions of the classic board game, Operation, in Library Media class using MakeyMakey and Scratch. 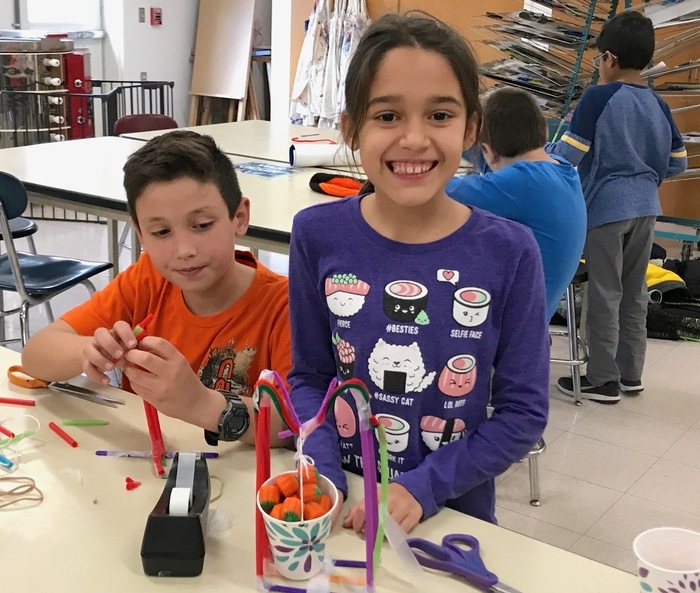 Using their “Maker Mindset,” students have taken on many STEM challenges, worked cooperatively to figure out what materials are conductors and insulators, and even learned about open and closed circuits using humans as the loop for electrons to flow. 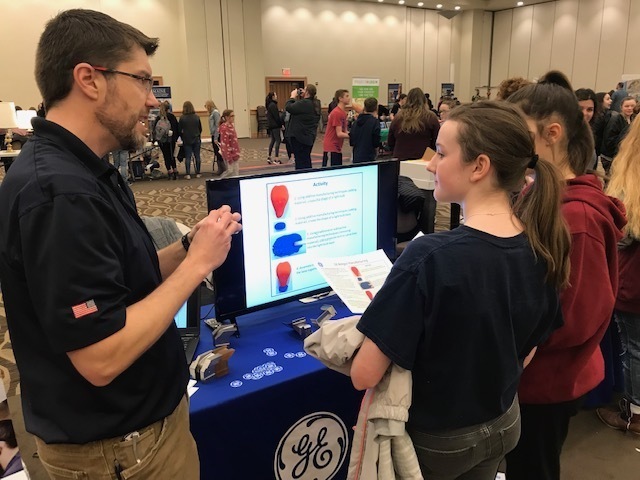 Three of the Operation games were featured at our Hullabaloo! 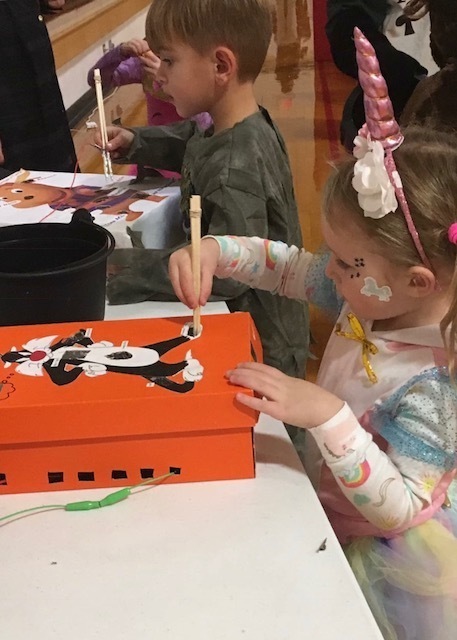 A few pics from tonight's Halloween Hullabaloo....our PTO put on an amazing Trunk or Treat outside, while the VCS Student Council hosted games and dancing inside! More pics to follow tomorrow (including some of the outstanding 'trunk' displays). 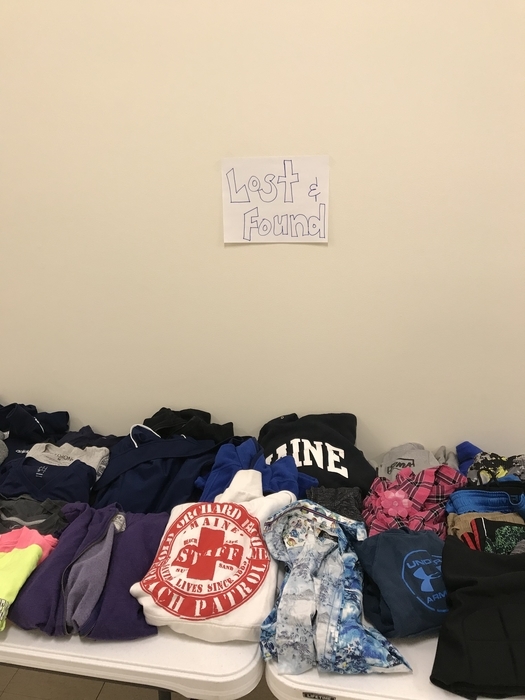 Please check out our lost and found table. It is already quite large. 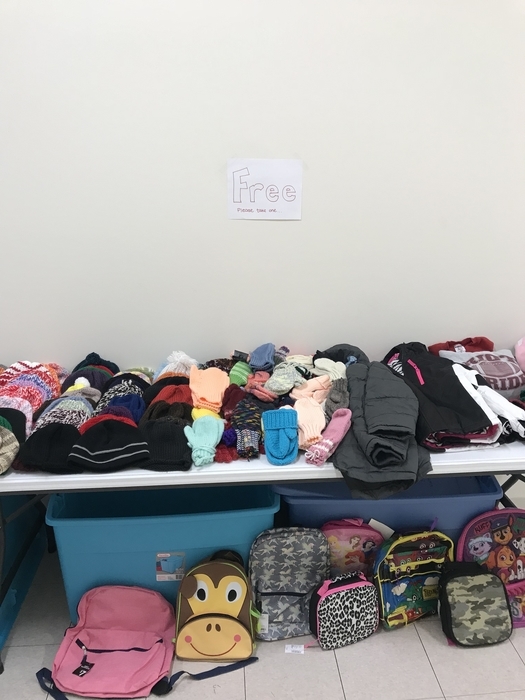 We also have a “Free” table from many donations of winter wear, backpacks and shoes!! 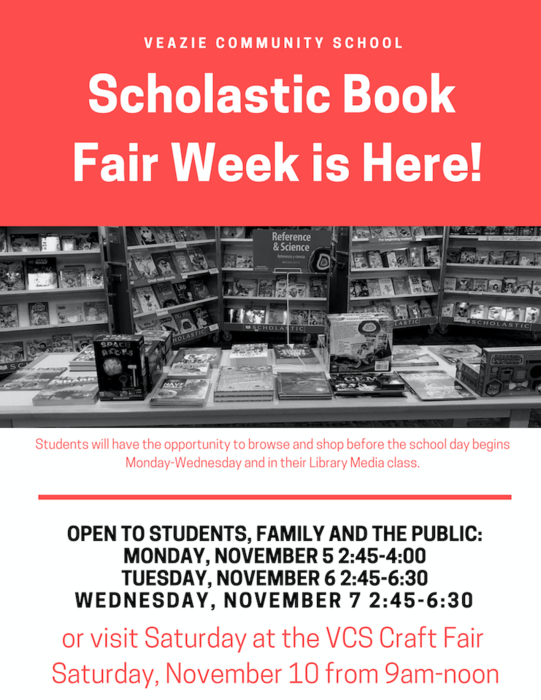 Our annual fall book fair is just around the corner! The schedule is a bit unique this year and includes time on Saturday during our PTO Craft Fair! 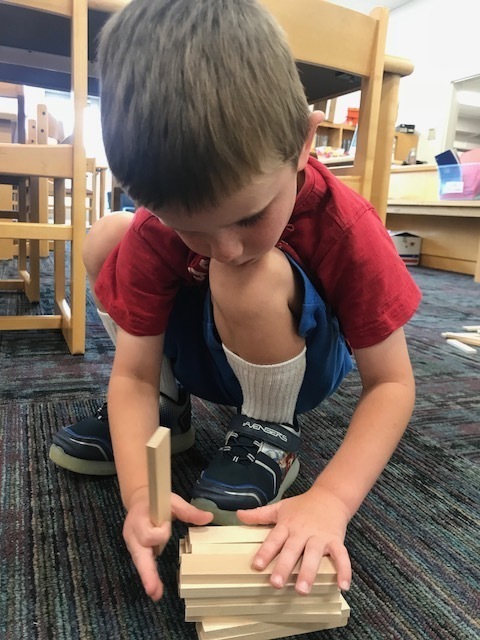 All proceeds raised directly support our Library Media Center through book purchases and STEM supplies. 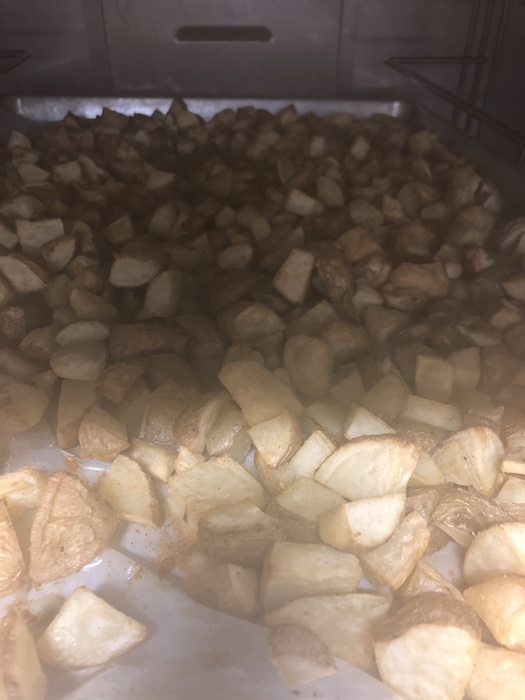 Our amazing cooks just shared this beautiful picture of home fries made using potatoes harvested from our school garden! 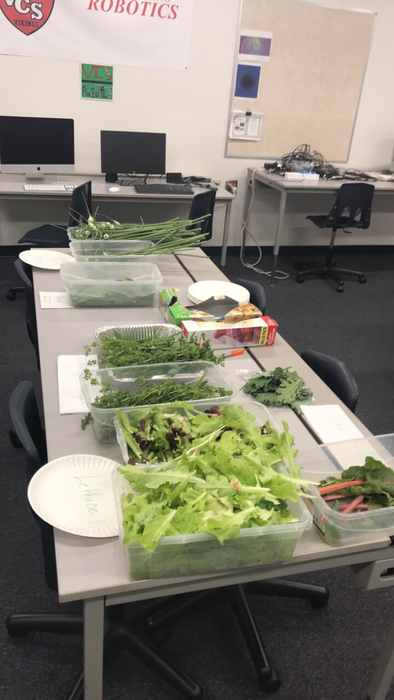 Farm-to-table is alive and well at Veazie Community School! 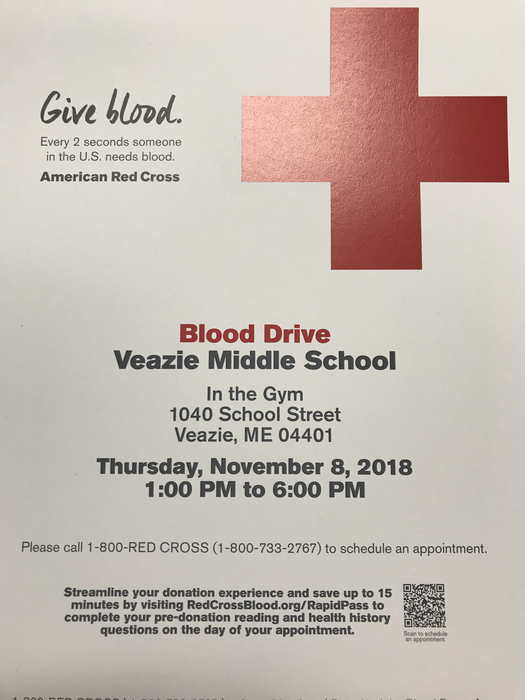 VCS Blood Drive on Thursday, November 8 from 1-6pm. Register ahead of time or stop in the day of. KEVA Planks....a small piece of wood. 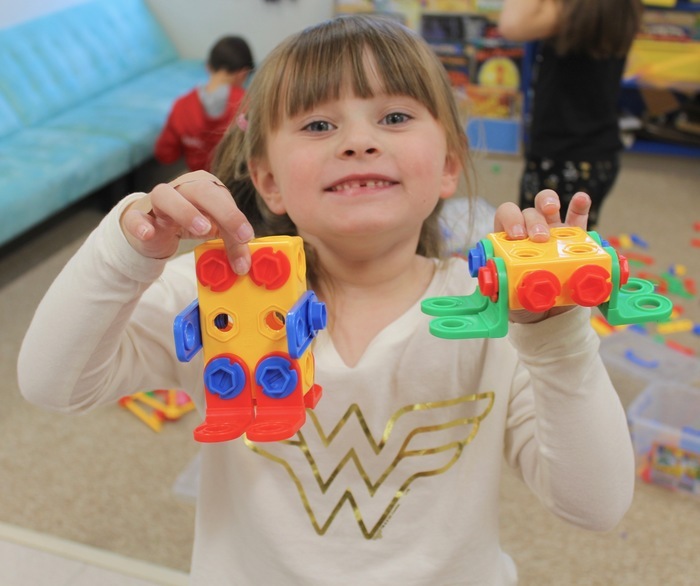 Give students hundreds of 'em and their imagination takes over! 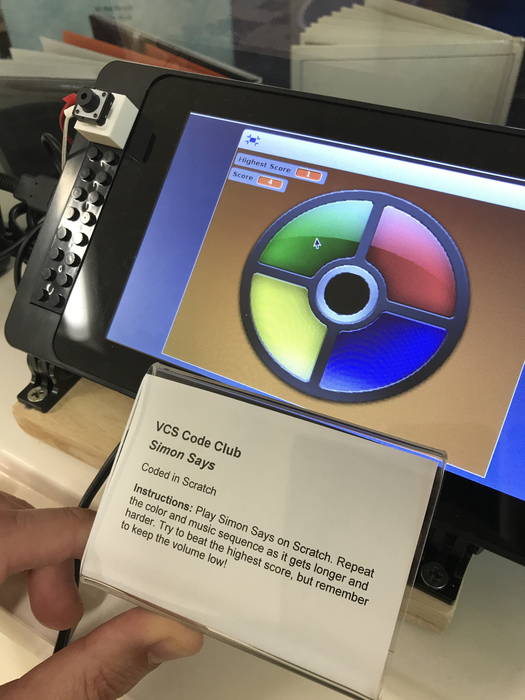 Friday’s coding club programmed the game Simon Says on our interactive hallway display. 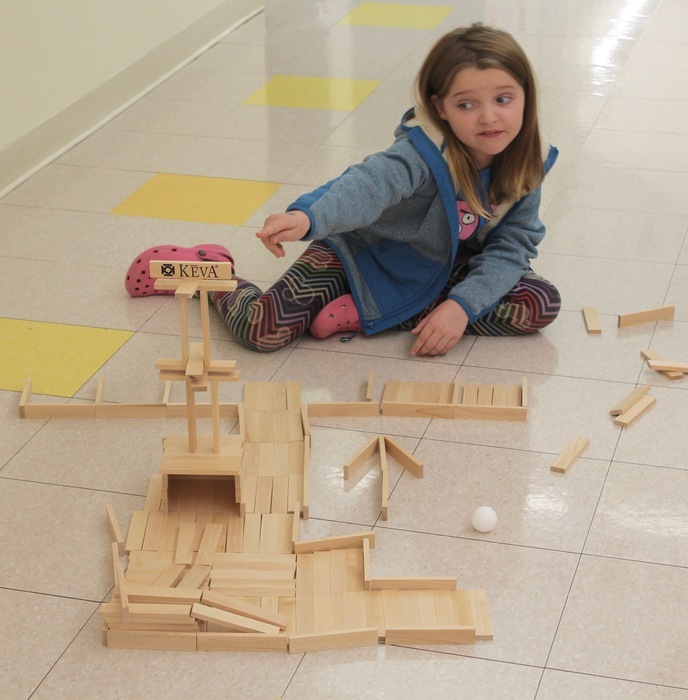 Check it out the next time you are near the Maker-space. 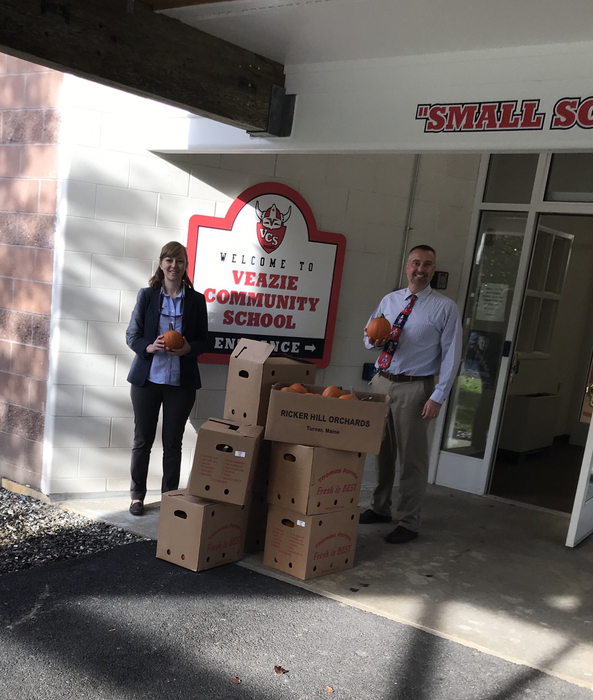 Thank you Hogan Road Hannaford and Thomas Farms (Corinth) for the pumpkin donations. Hannaford store manager Dailyn Markie dropped them off for students to decorate and display back at the store. 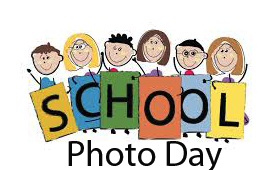 School Picture Retakes (by Lifetouch) are scheduled for next Thursday morning-- October 25. Pre-K through 4 students had a couple of special visitors today. 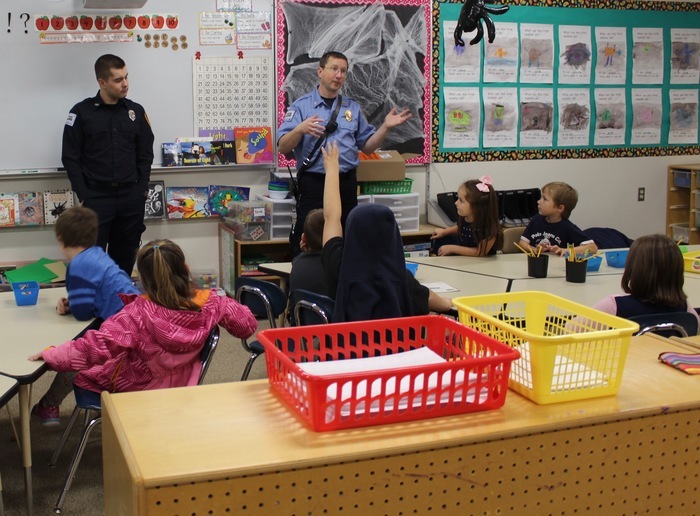 Firefighters Pete and Dan came to talk to them about fire safety. If you have a child in one of those grades, ask your child about what they learned. FLEX Friday started today! 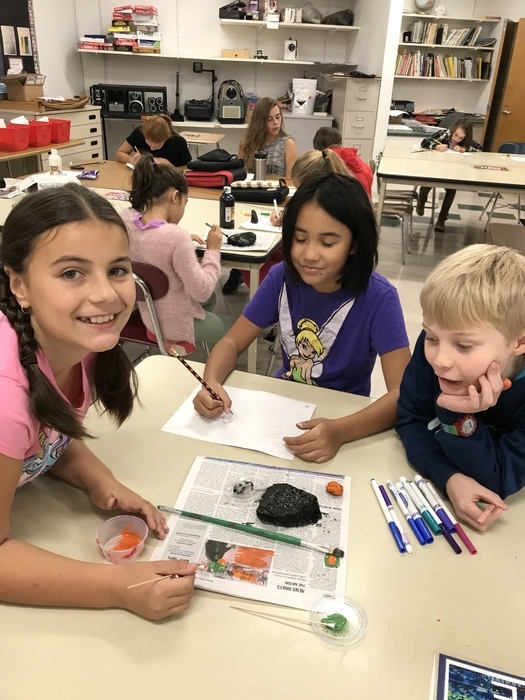 Students choose from Dot & Dash Club, Mandala Rocks, Strength & Conditioning, Seacoast Soccer, Science Fun, Jewelry Making, Gardening, Public Safety Club, Walking Club, Robotics and Dungeons & Dragons. FLEX is just one reason our school is so special. The Small-School Cross-Country Championships have been moved to Friday, 10/12 (due to forecasted rain tomorrow)...same start time of 4:15 and same location--Airline Community School. 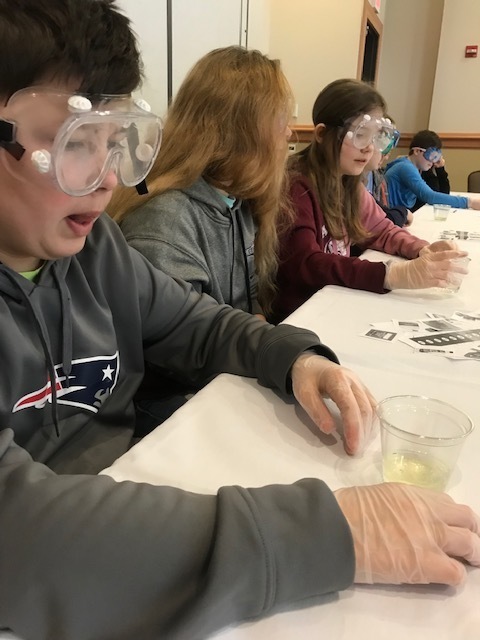 Grades 4, 5 and 6 took a trip to the University of Maine to participate in the Northern Maine Children’s Water Festival. 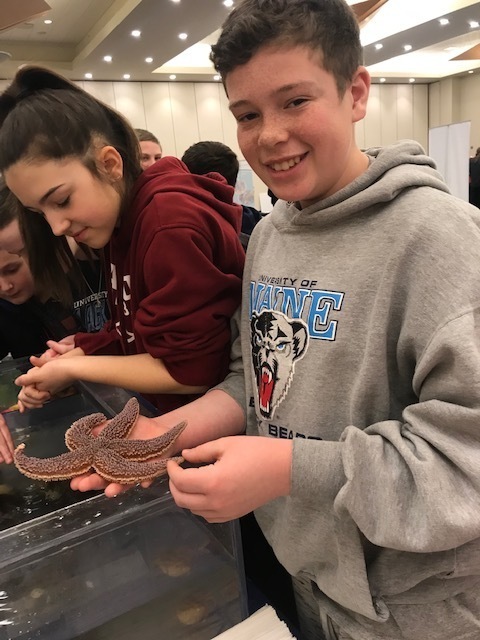 Students learned about ways to preserve Maine waterways and the wild life that inhabits our waterways through a variety of activities! 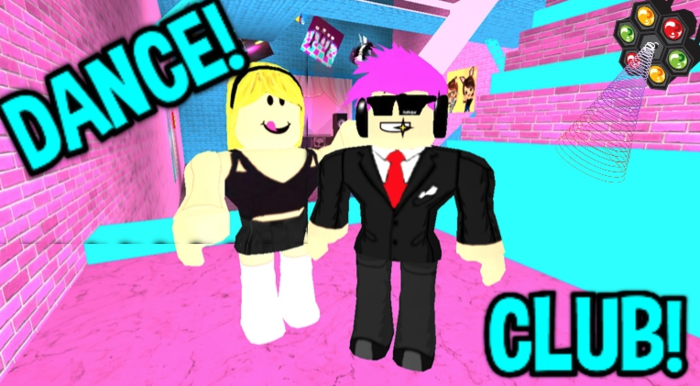 Dance Club signups are still being accepted! Dance is open to grades 3 - 8. Please ask Ms. Nelligan or Mr. Arell for more information or a sign-up form. 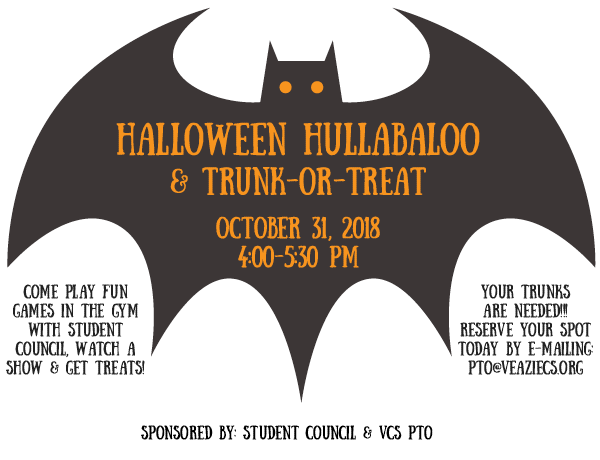 The PTO - Student Council Halloween Hullabaloo is just around the corner! Please consider donating to our upcoming PTO Online Auction. 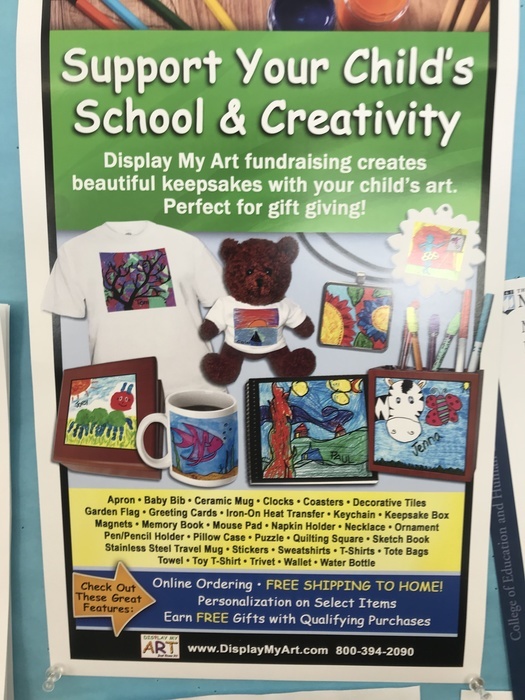 Past success of this fundraiser has eliminated the need for students to have to take home individual sales fundraisers. We hope to keep things this way! 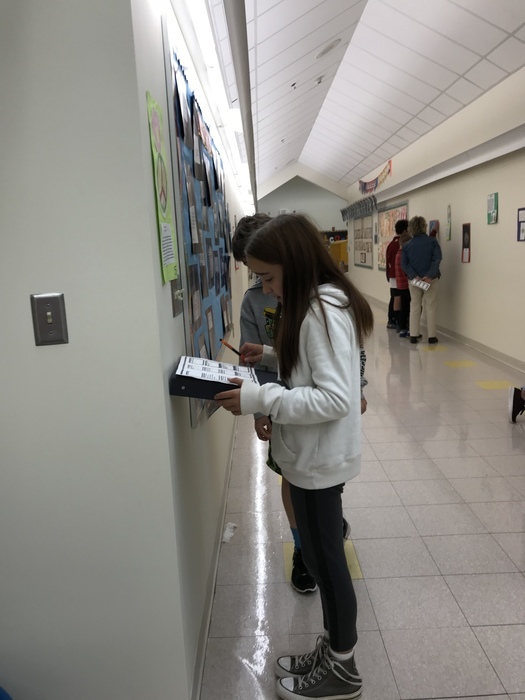 Grade 4 created a Maine Studies Scavenger Hunt to share with the building. 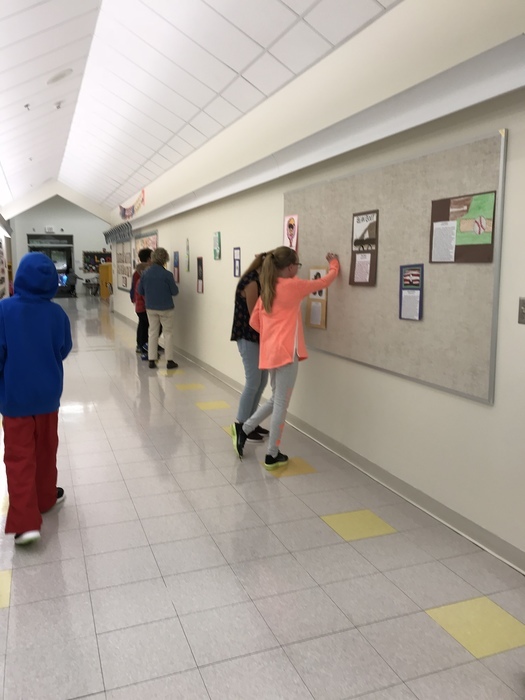 Grade 6 did research and worked in teams to find the answers to questions about people, places, and events from Maine. 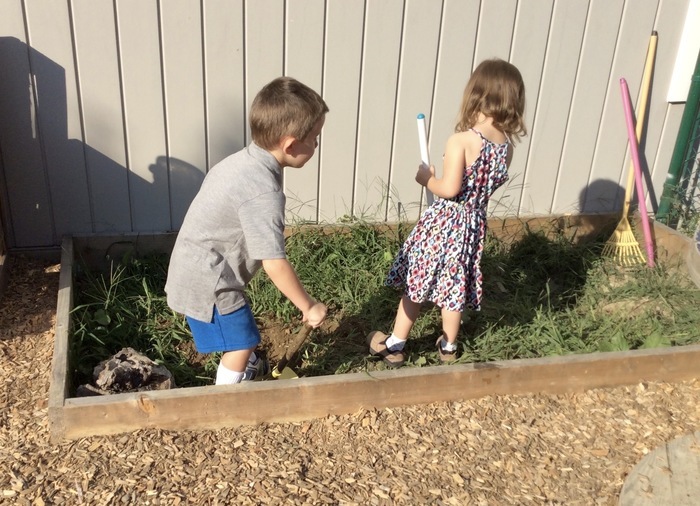 Pre-k has been fascinated with finding worms in our new "digging spot". Thanks to some great work done by Glenn Campbell and friends- there is now a perfect spot for the preschoolers to practice shoveling, raking, and digging. They are learning how to handle worms gently and what to do with the worms to keep them safe. 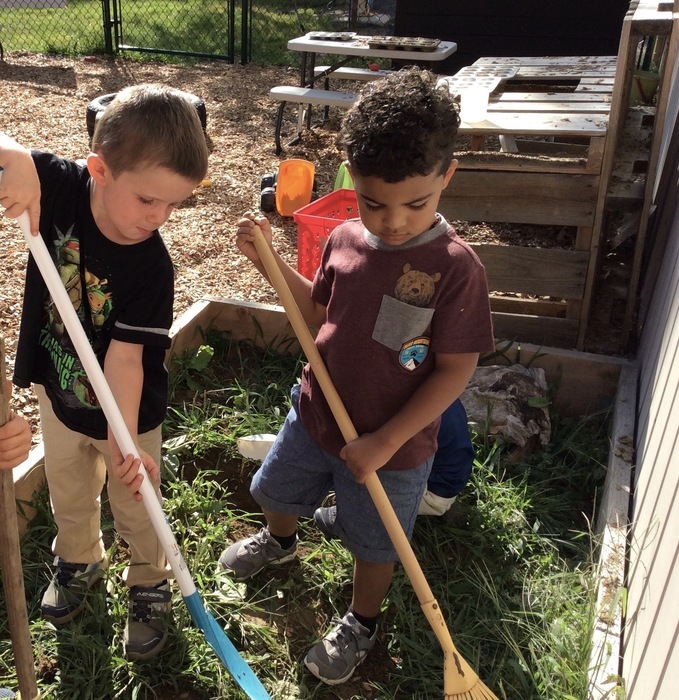 Many of the children say that the worms are one of their favorite things about school! 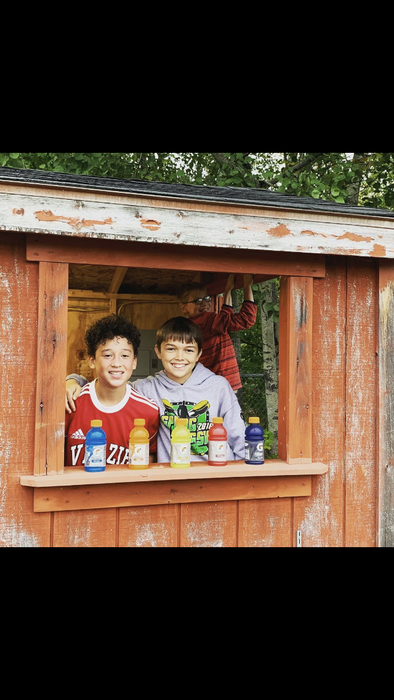 Great pic of some great VCS kids at the x-country meet snack shack. Not shown here is VCS parent and PTO member Andy Brown who was most likely setting cones on the course, stocking snacks, or directing traffic. Thank you Andy for helping make our two home meets a huge success! 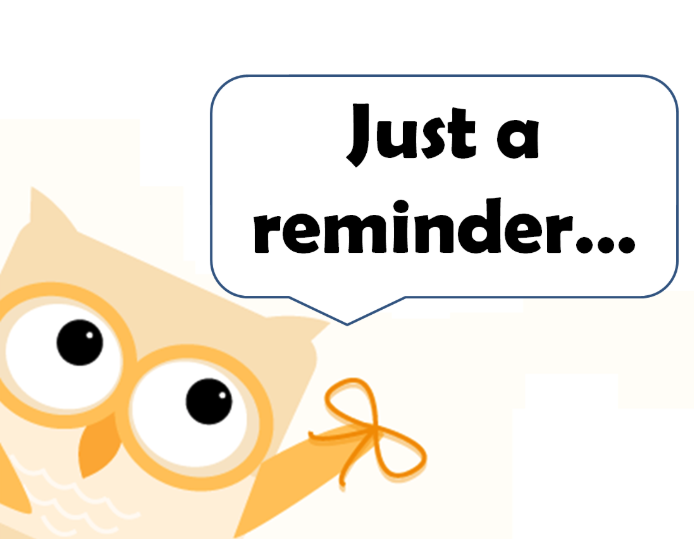 Just a reminder that there is no school Friday 10/5 (teacher in-service day), and Monday 10/8 (Columbus Day). Have a safe long weekend! Dismissal times can be tricky and we alway make student safety a priority. 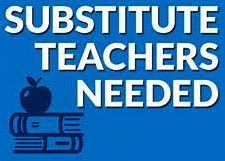 As a reminder, please make sure you email or contact all of your children's teachers when needing to make dismissal changes. We sometimes only have notes sent to one teacher (of two or more siblings). This afternoon's soccer games have been postponed to Friday, October 12. No soccer or cross-country practices after school today. 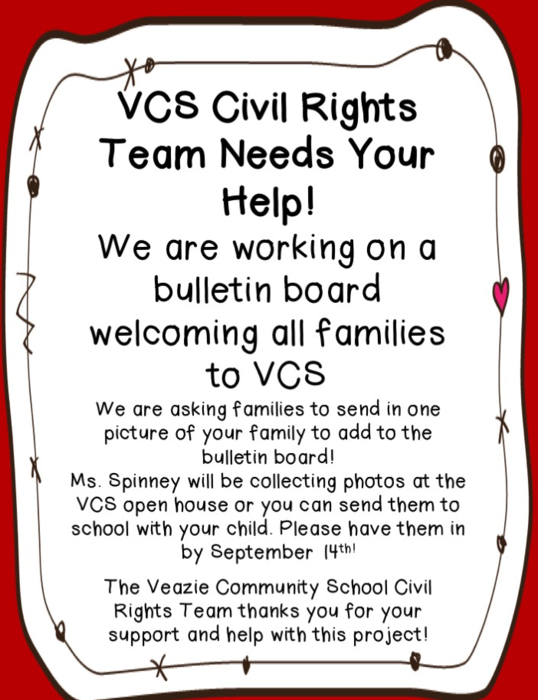 Please consider sending in a family photo for our Civil Rights Team bulletin board display. 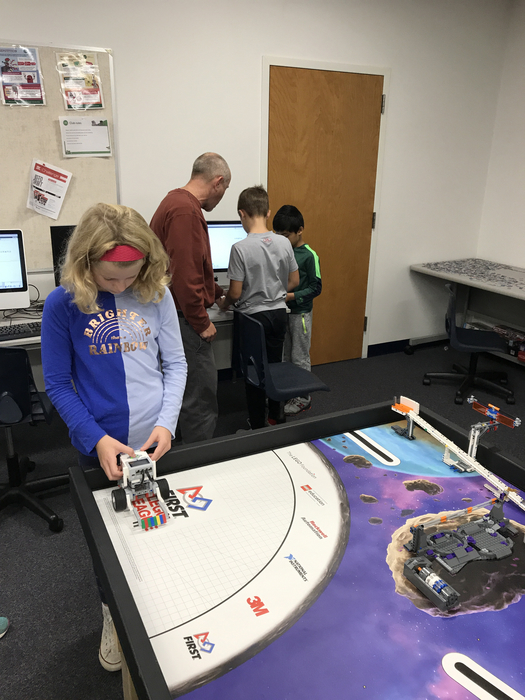 Today is Friday but we have a growing number of students staying after school to participate in the Coding Club. 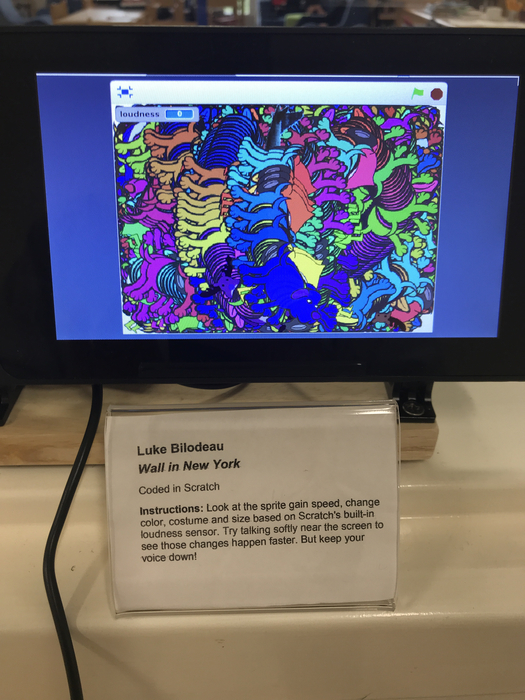 Using Scratch and Python, students are creatively coding simple and complex scripts like the one seen here on Rasberry PI3. The first class to return all of their library books is ... Ms. Worster’s PreK! The best part? Today was only their second week of Library Media!! 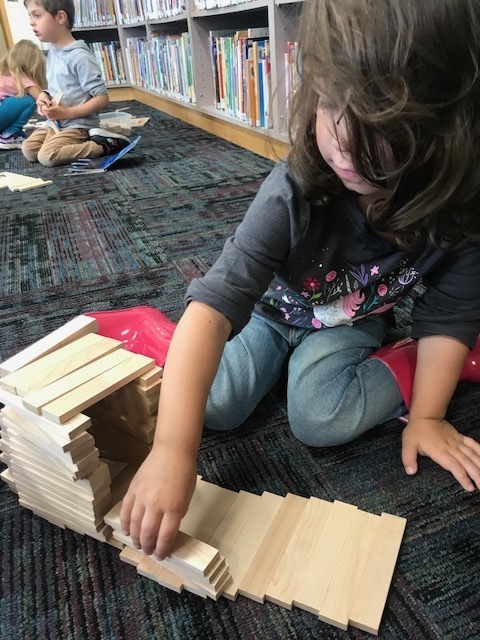 We celebrated by reading a new version of the Three Little Pigs and built the pigs a new house out of our KEVA planks. Our PTO helpers are amazing. 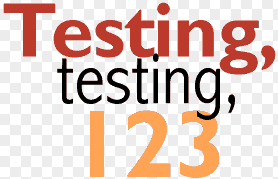 They take on many tedious tasks that save our teachers valuable teaching and planning time. 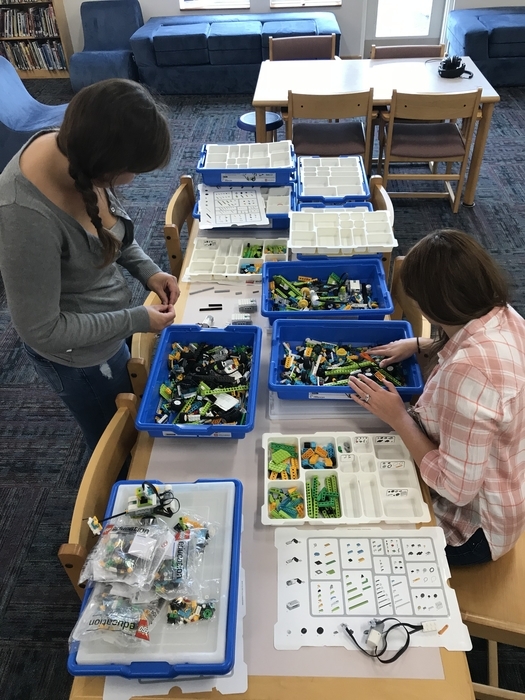 This includes sorting thousands of LEGO pieces in our WeDo programming kits. Our garden is beautiful right now! Still producing green beans and tomatoes for school salad. 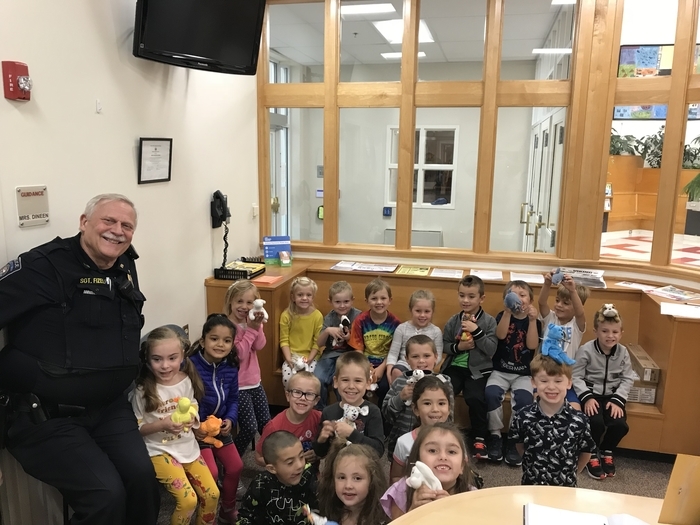 Sgt Fizzell treated Kindergarten students with Beanie Babies this morning! We are grateful to the support we receive from Veazie public safety. Sometimes it is the little things in life that are most important. 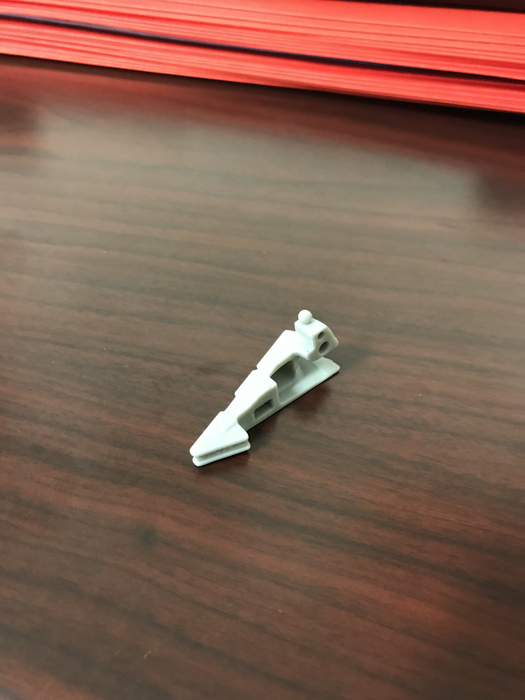 Please ask your child if they lost half of a Star Destroyer today at school. Thank you. 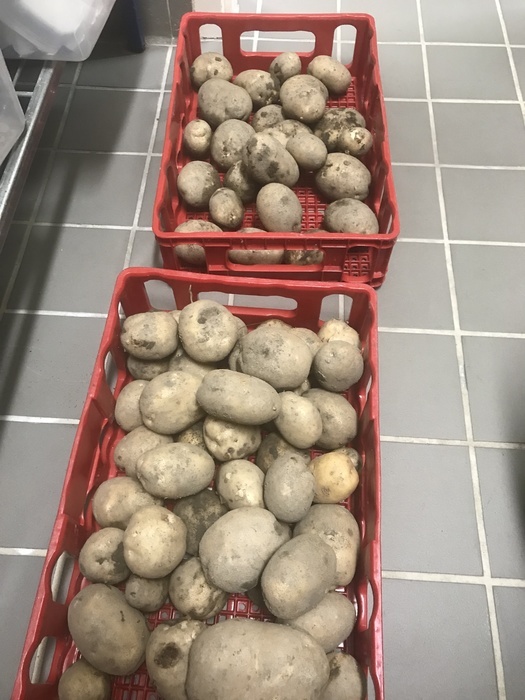 Students have been harvesting vegetables planted last spring and the kitchen staff are using them to make hot lunch choices! 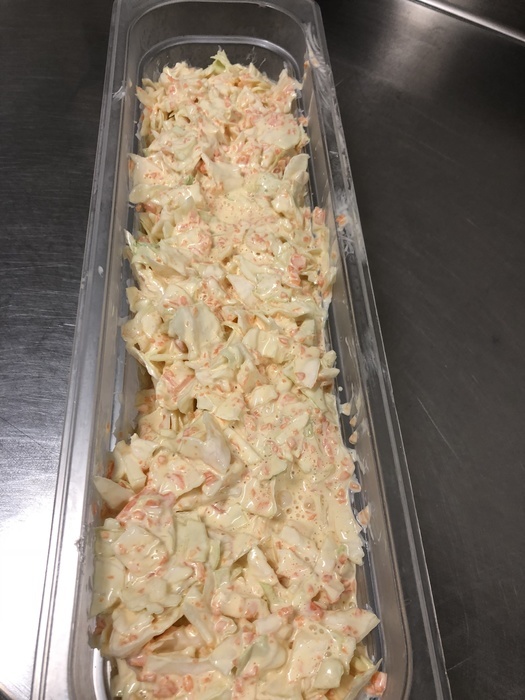 Most recently, this beautiful coleslaw and 25lbs of potatoes for upcoming hash browns! 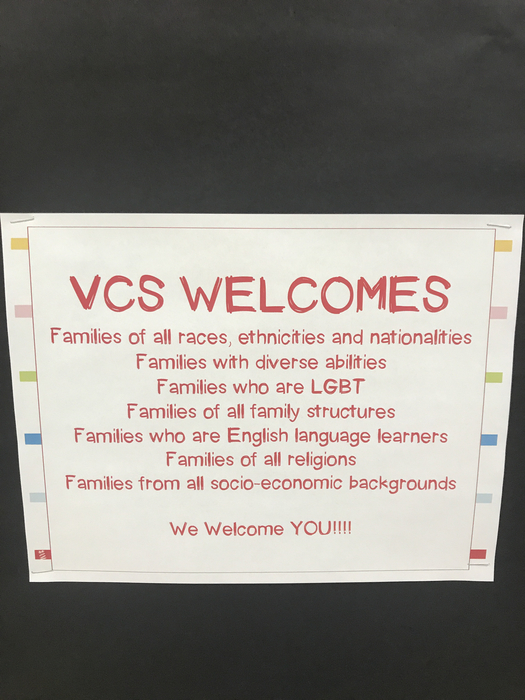 Reminder: The VCS Community Dinner & Open House is this evening from 5:30 - 7:00. We hope to see you there! All donations received this evening will directly support our PTO Visual and Performing Arts Fund. Bus A had a mechanical breakdown half-way through the morning run. A replacement bus has been sent. Please be patient if your child has not yet been picked up. Bus A covers Chase Rd. Sunset, Davis, Wedgewood. 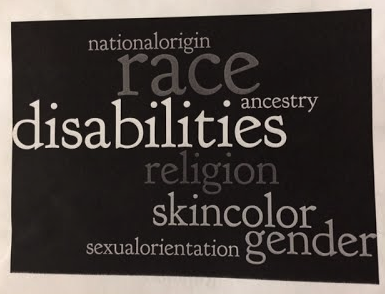 The VCS Civil Rights Team needs your help! 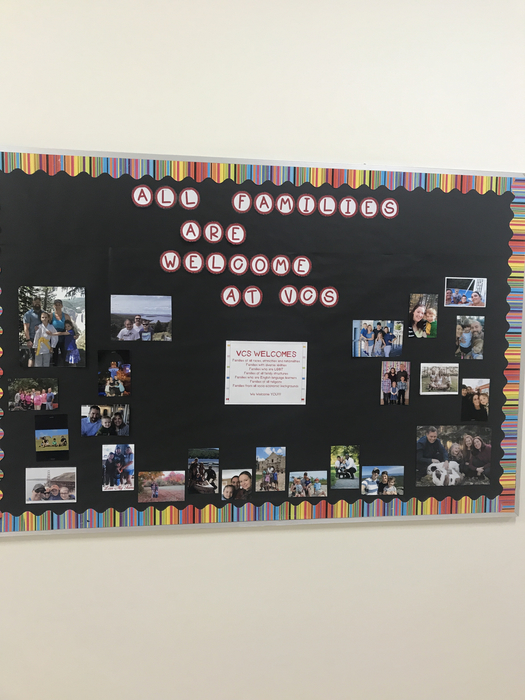 Please consider sending in a family photo to be used in a photo collage in the school lobby. Mark your calendars! 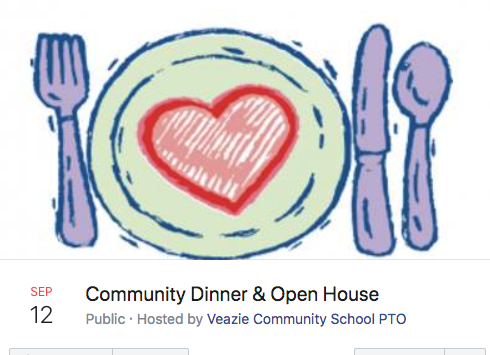 Community Dinner and Open House at the Veazie Community School on Wednesday, September 12 from 5:30p.m. - 7:00p.m. This evenings PTO meeting has been rescheduled to next Monday, 9/10/18 @ 5pm in the VCS library. New members are always welcome! David French music treated our 4th-8th graders to a music demo today in an effort to recruit new musicians! Wednesday’s heat index is supposed to be in the mid 90’s. 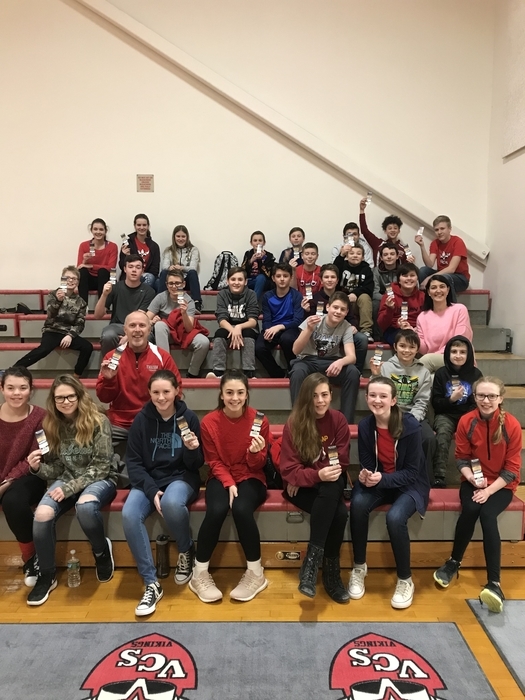 We have purchased water bottles for students but are also encouraging students to come to school with their own reusable water bottle for future hydration! Can’t wait to see everyone!! Thank you to the Courageous Steps Project for the school supplies donation! 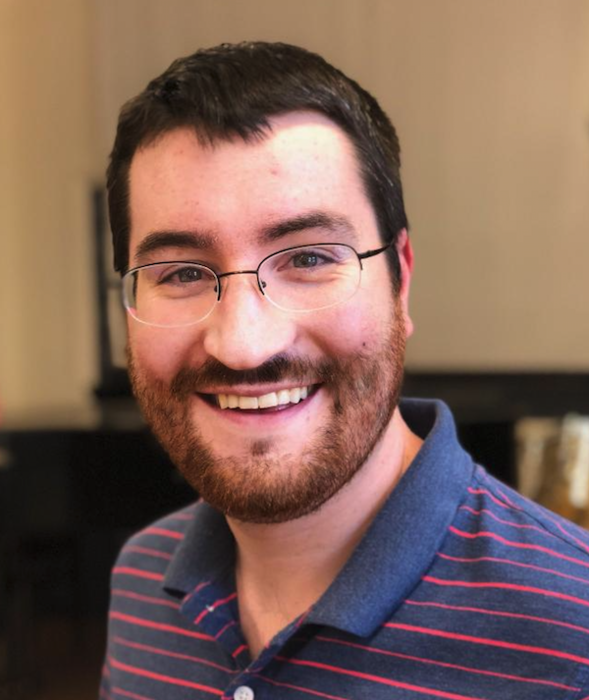 A Thrilling New Year of Music at VCS Meet Mr. Arell, our new Band/Music/Choral Director. He is hosting a VCS Music Open House on Wednesday, August 22 @ 7pm in the VCS Music Classroom. All grade 4 - 8 students interested in band or chorus are welcome! CHECK IT OUT!!! 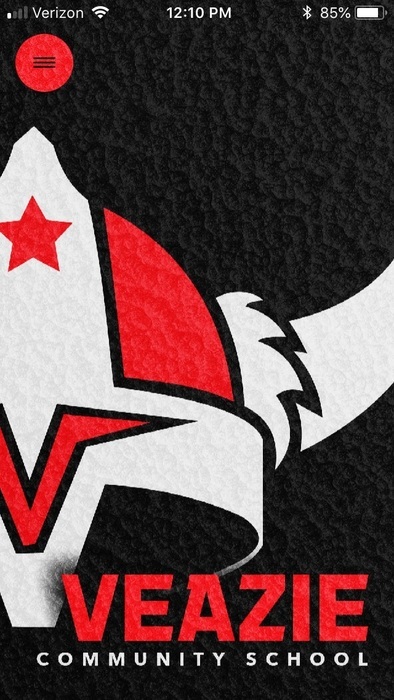 VCS has a brand new website! www.veaziecs.org (same URL--you may need to clear your cash to view the new site). Also, DOWNLOAD OUR APP!!! 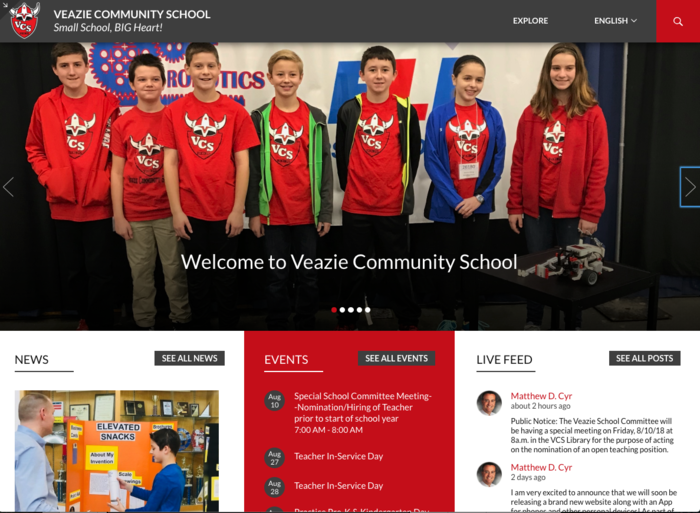 Go to GOOGLE PLAY or the APP STORE and look up Veazie Community School! 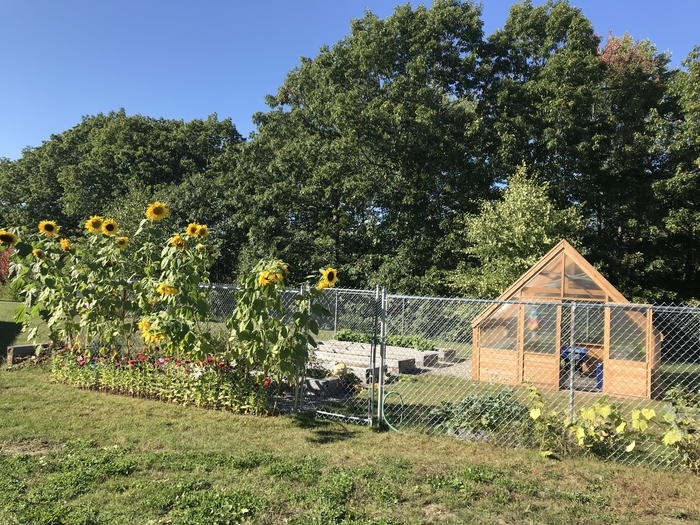 Students planted cabbage, tomatoes, pumpkins, and cucumbers that are enjoying the sun and heat we have had recently. Soon, there will be sunflowers taller than the fence to enjoy as well. 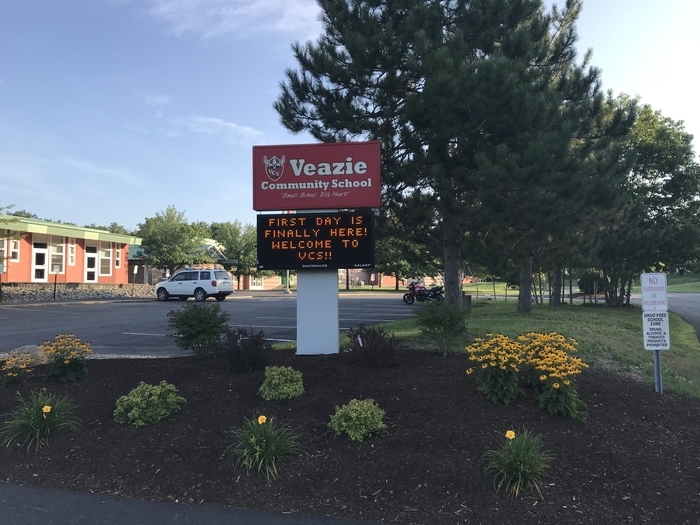 Public Notice: The Veazie School Committee will be having a special meeting on Friday, 8/10/18 at 8a.m. in the VCS Library for the purpose of acting on the nomination of an open teaching position. I am very excited to announce that we will soon be releasing a brand new website along with an App for phones and other personal devices! 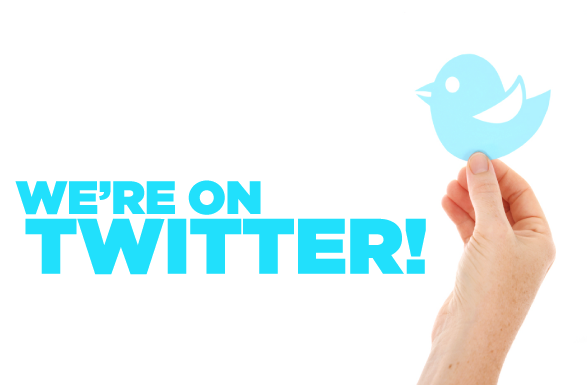 As part of this upgrade, we have also expanded our reach to Twitter! Stay tuned for the official announcement of our new web presence! 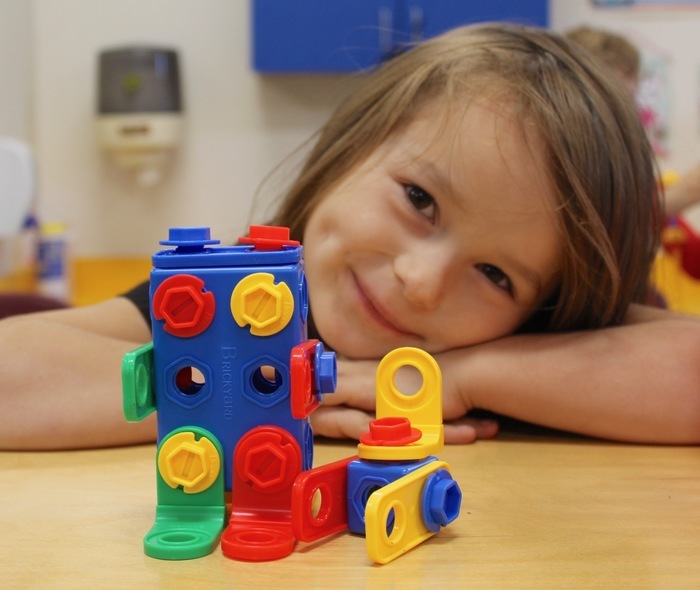 We have two openings left in our all-day Pre-K program. We accept tuition students, so if your community program is full and you are on a waiting list, please consider Veazie Community School! All day programs are rare! 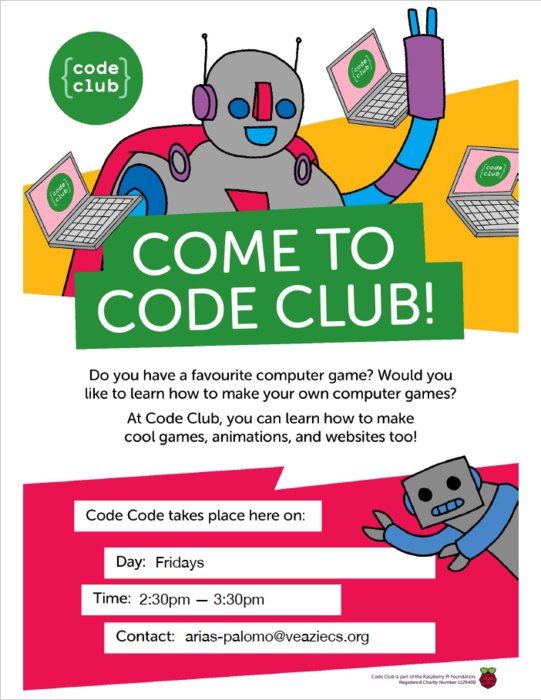 Coming this fall to VCS: Friday Code Club being taught by our very own Adrian Arias-Palomo!! 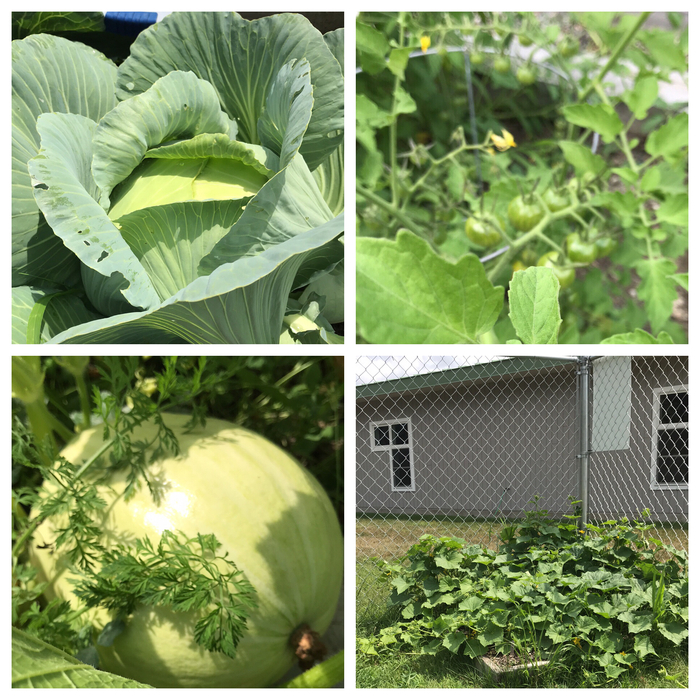 Our school garden has been very productive so far this summer!